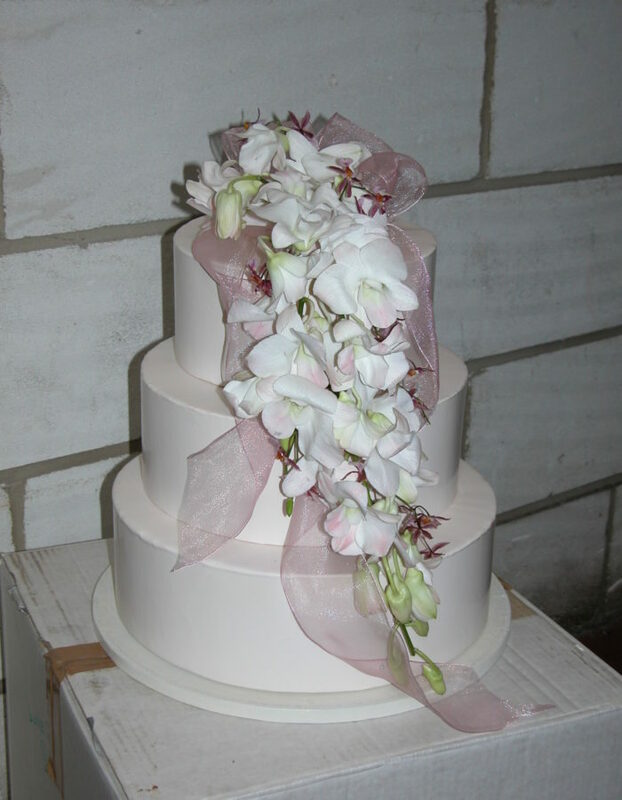 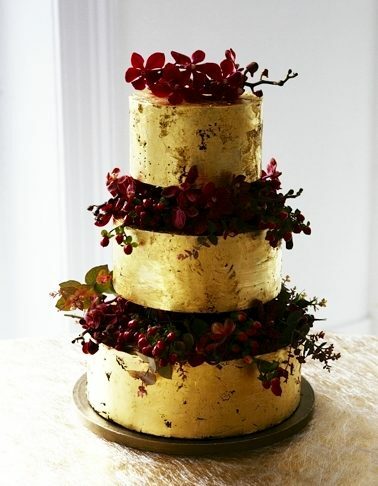 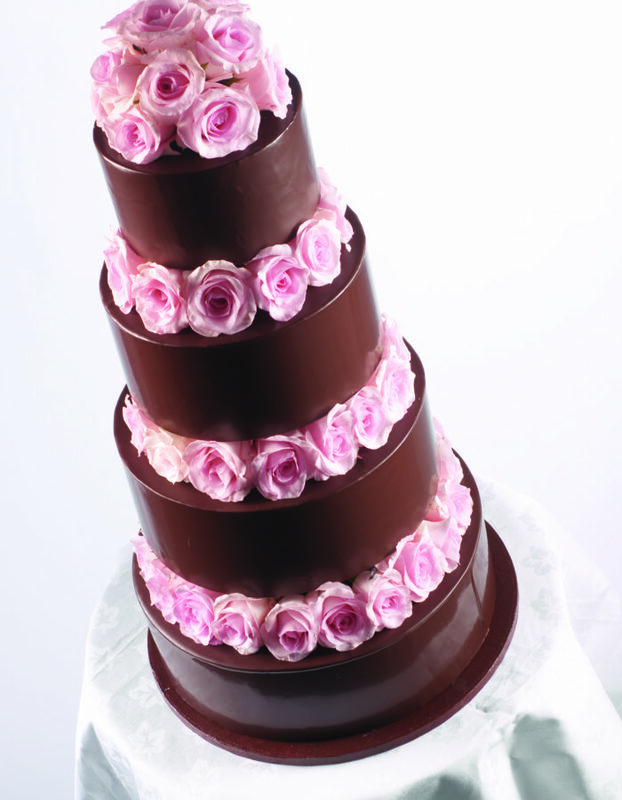 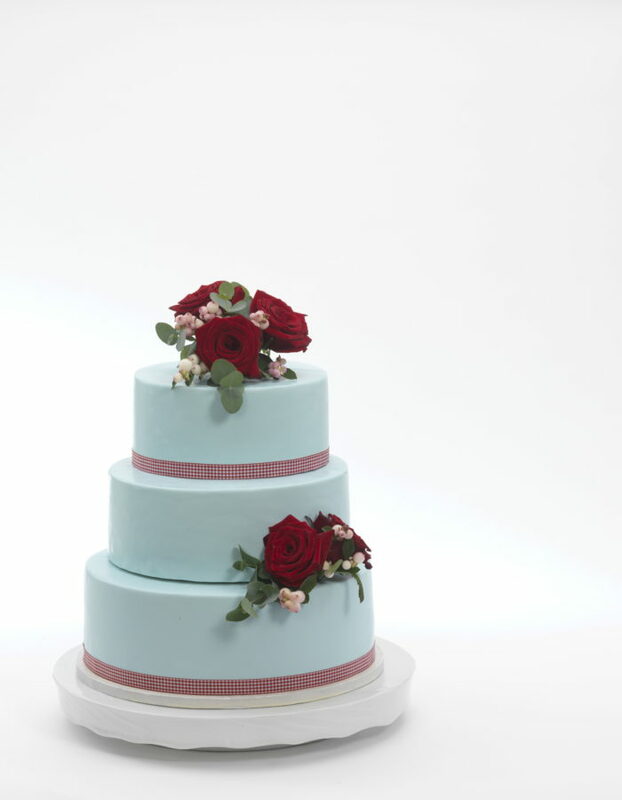 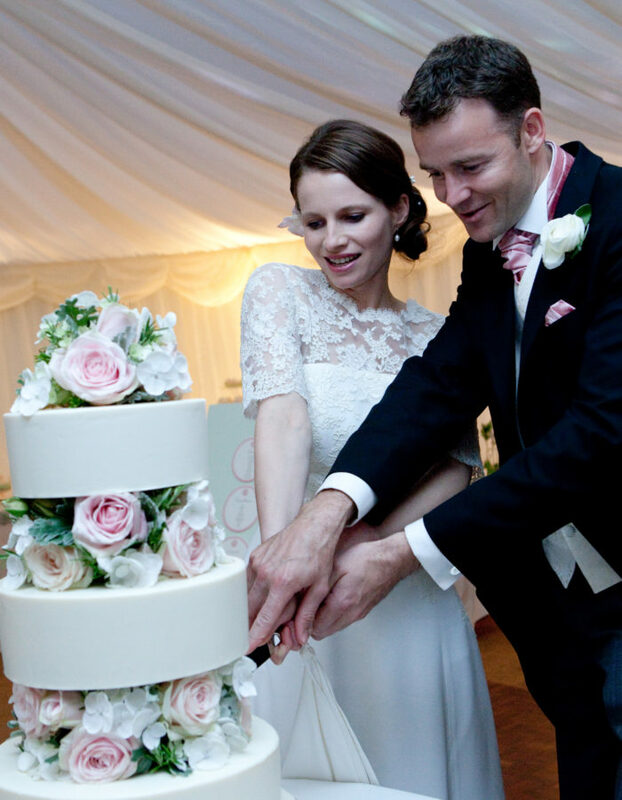 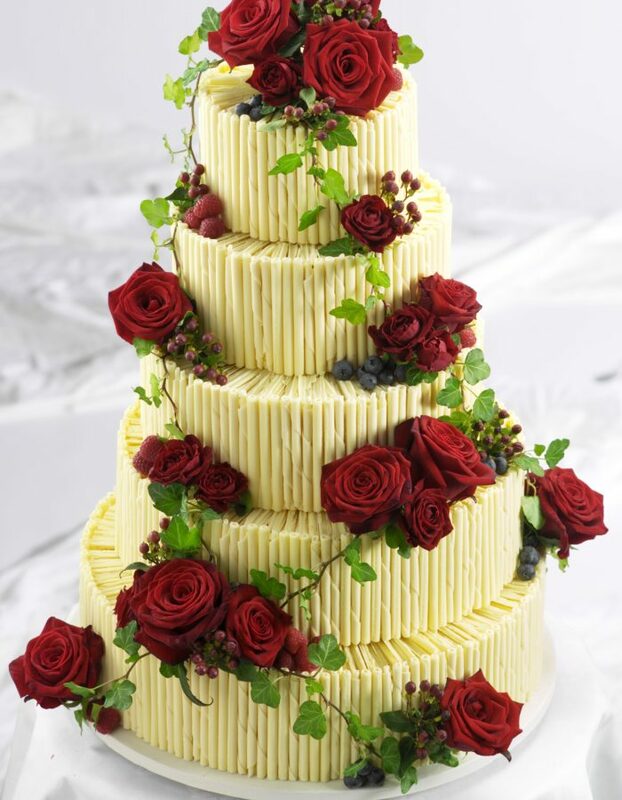 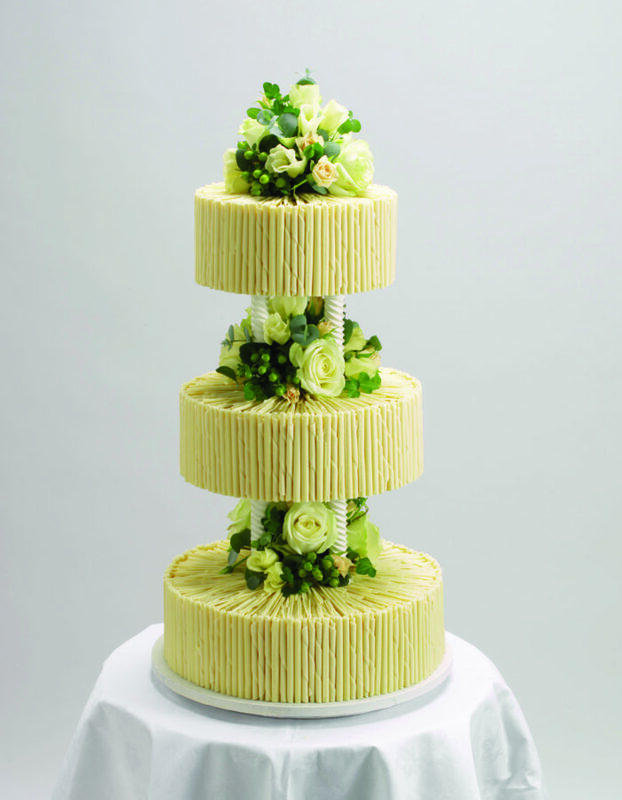 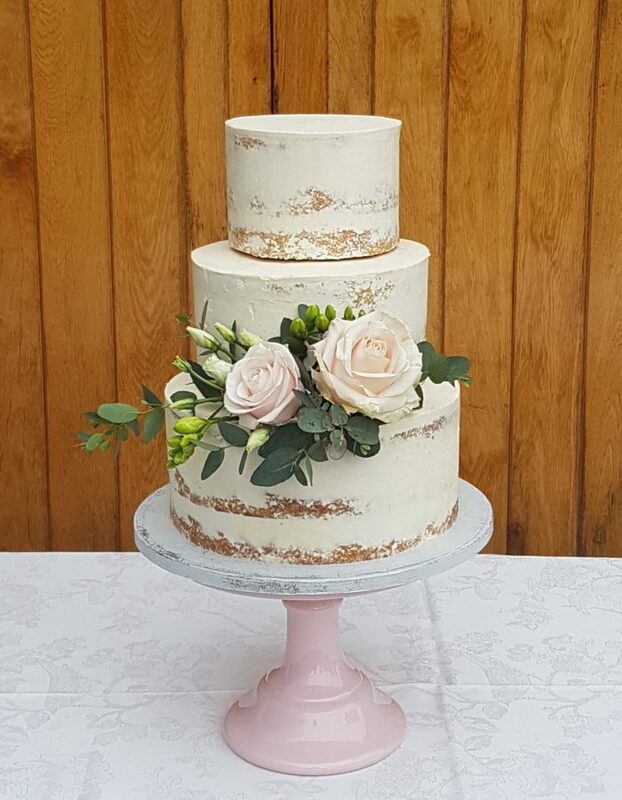 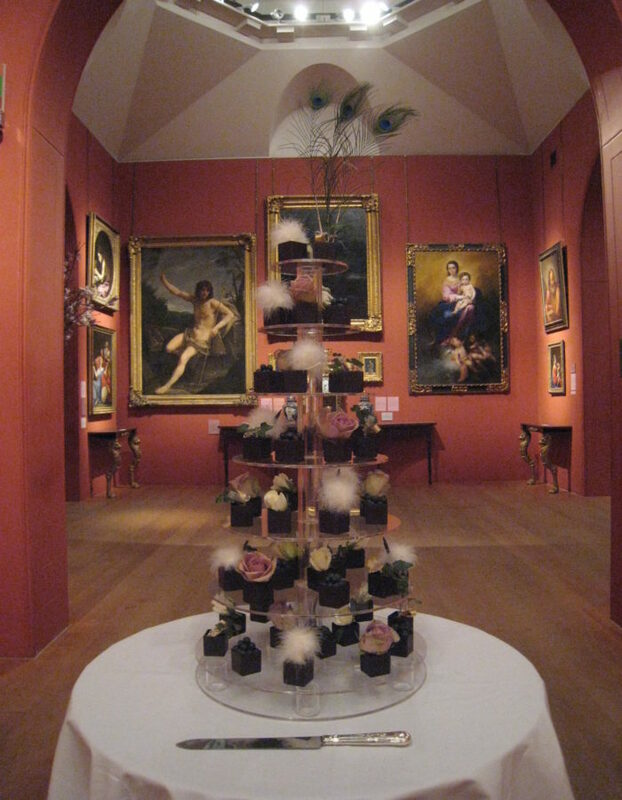 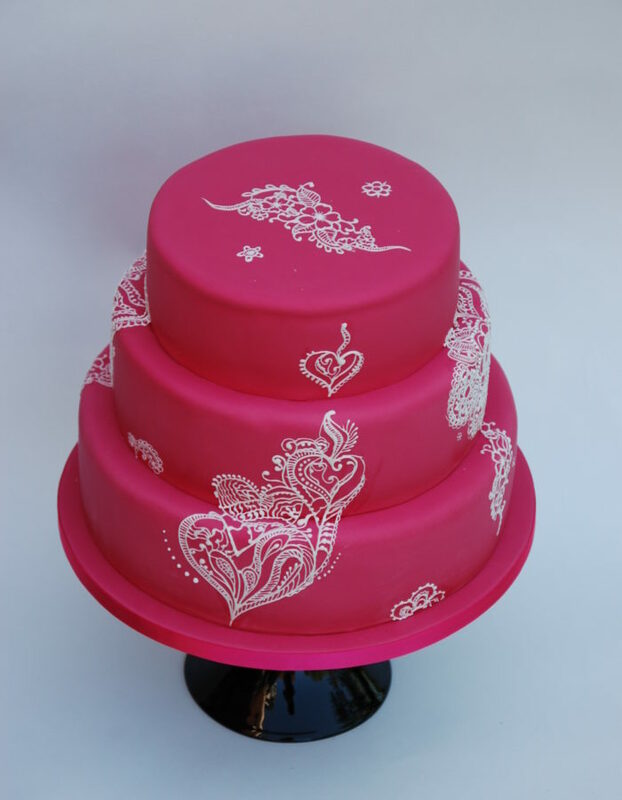 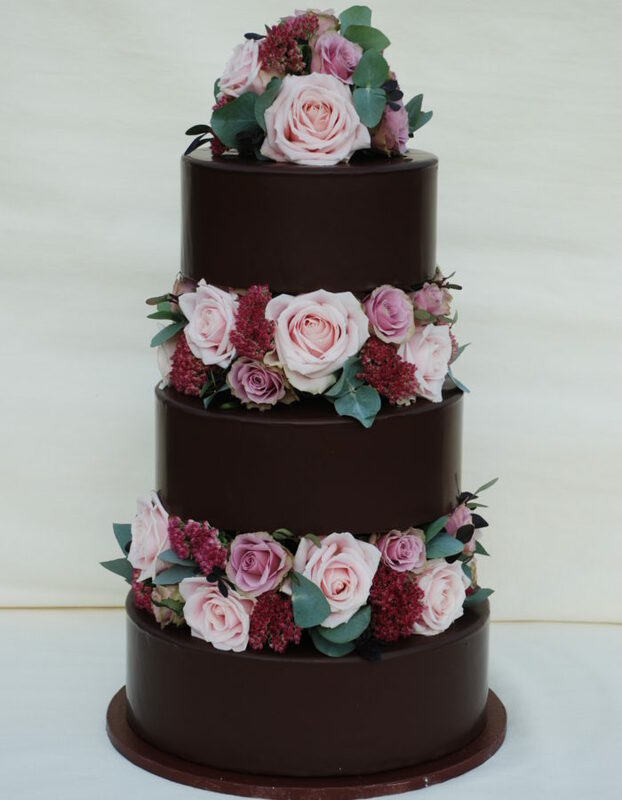 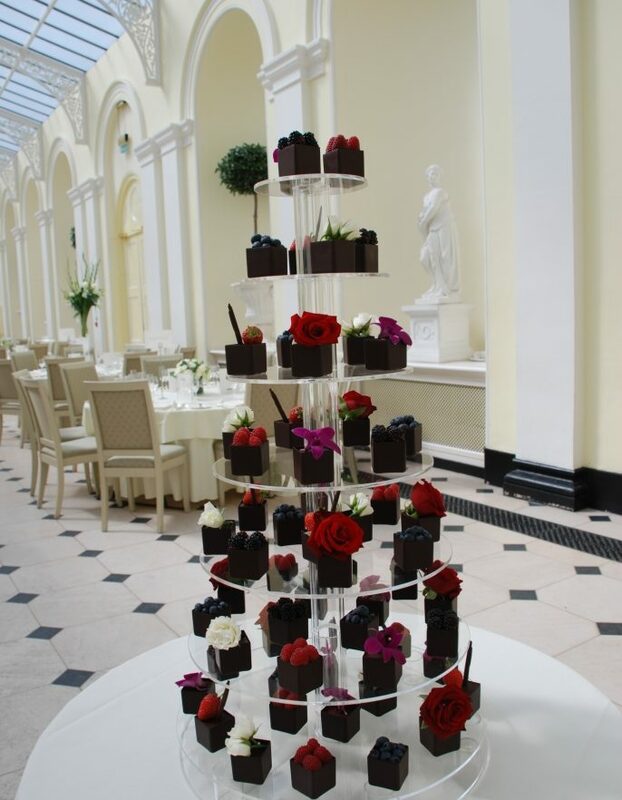 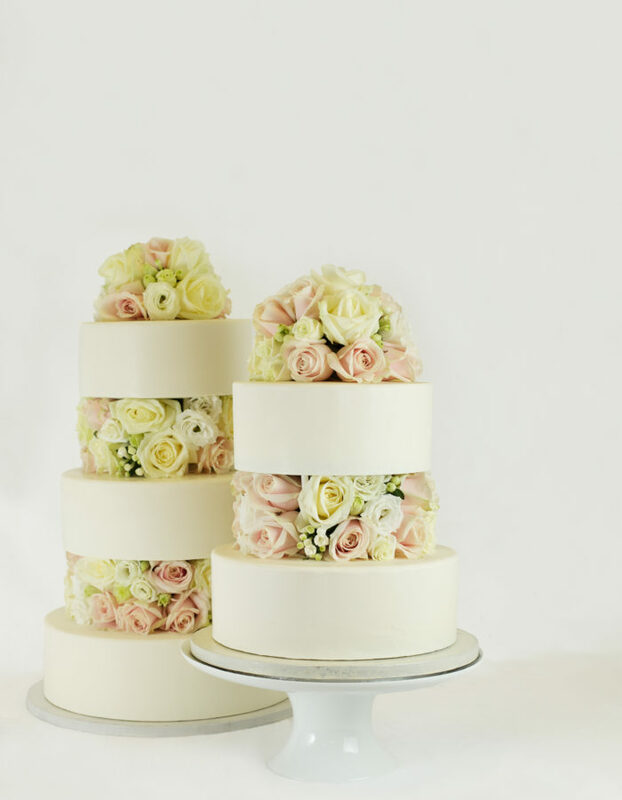 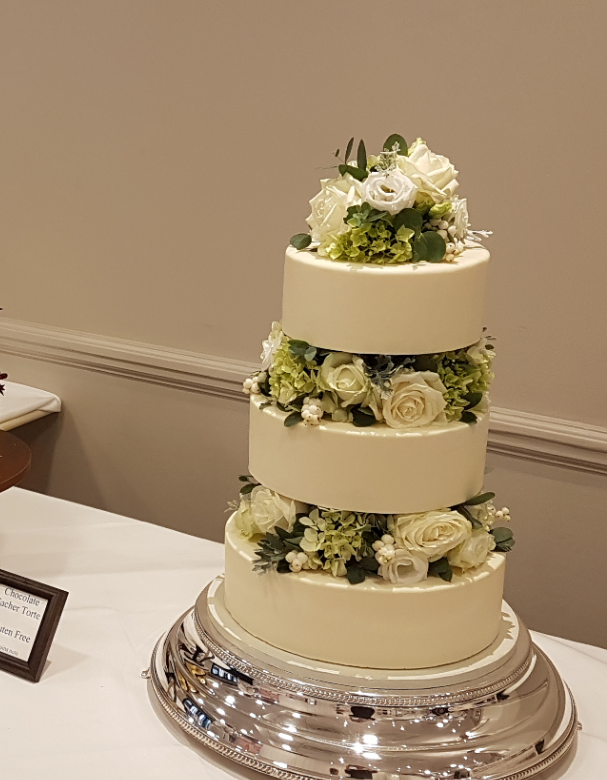 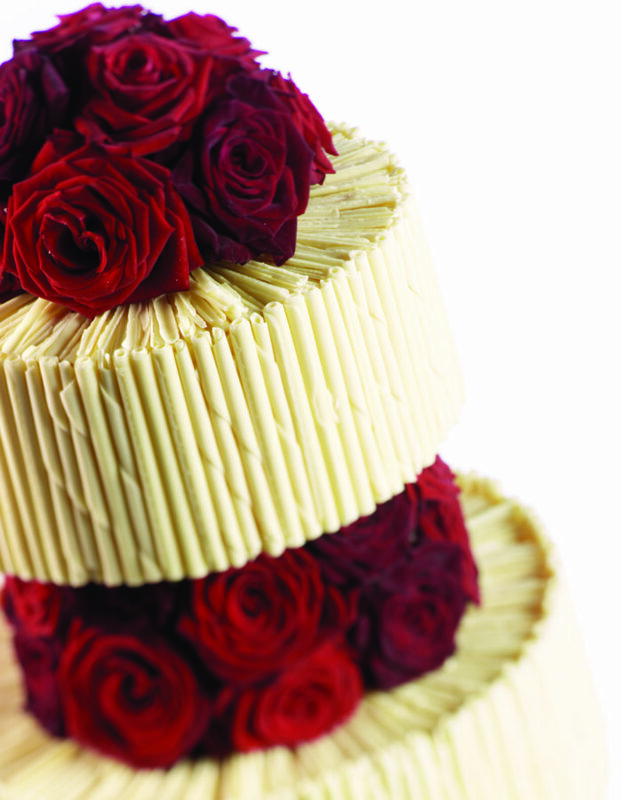 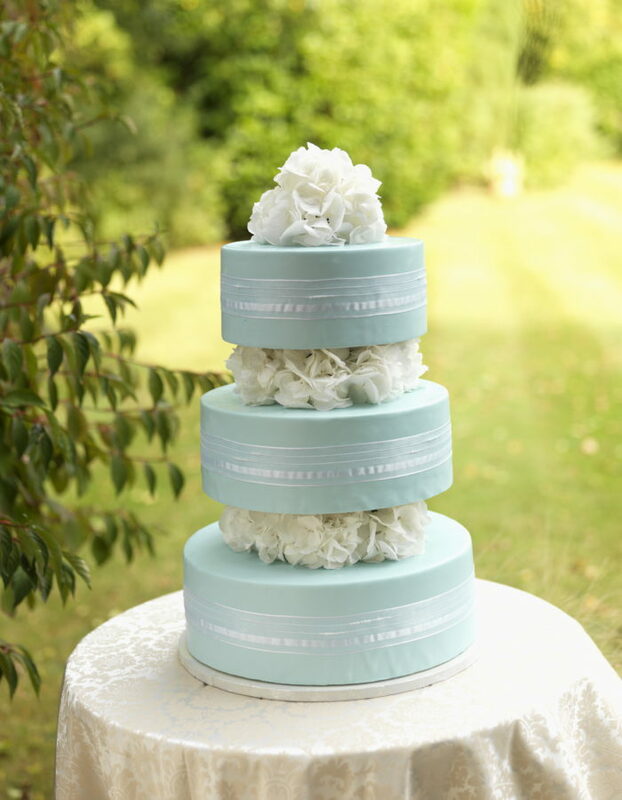 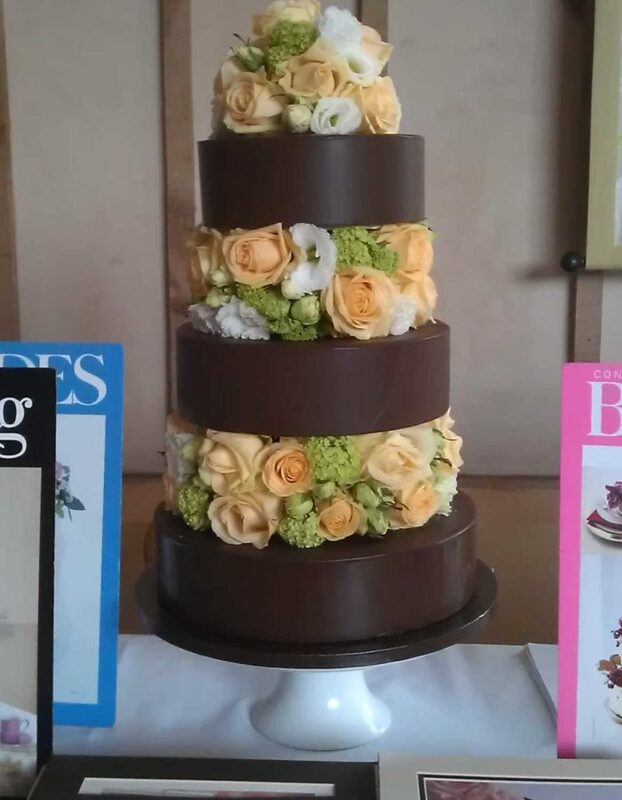 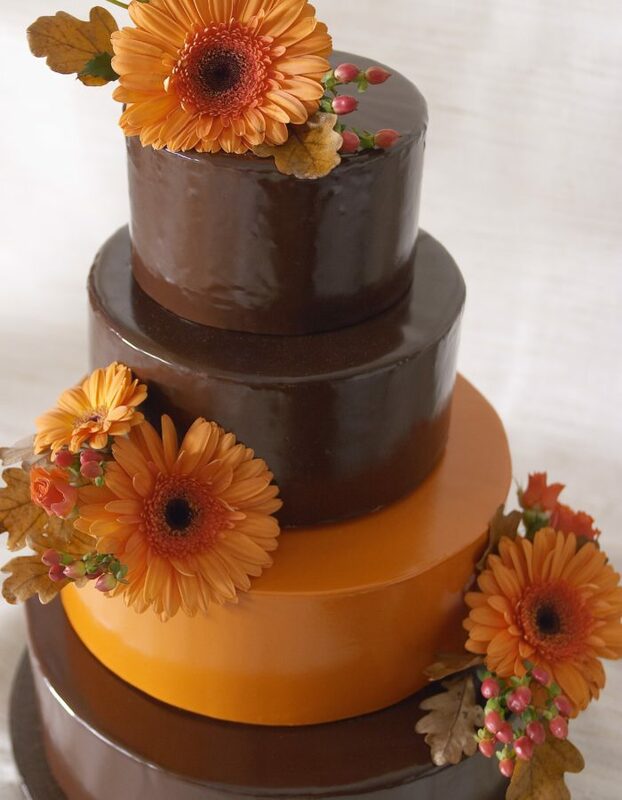 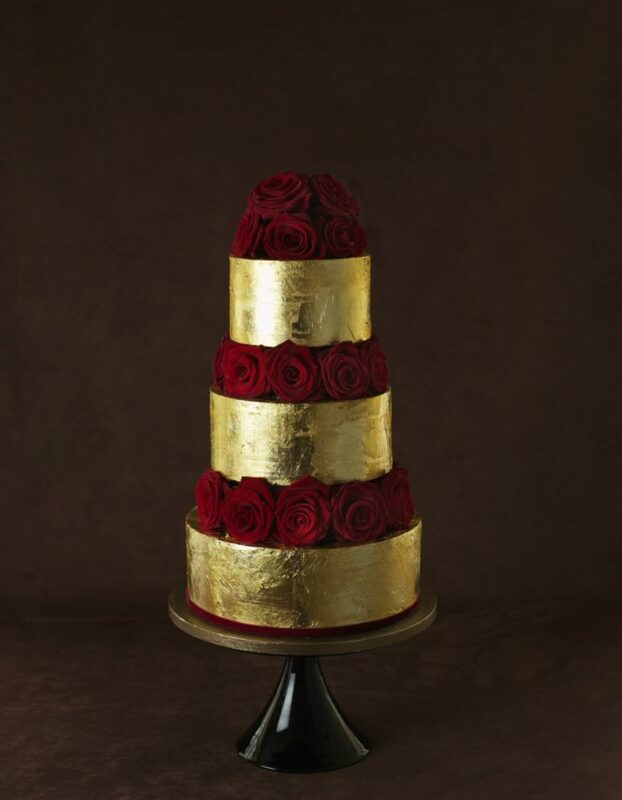 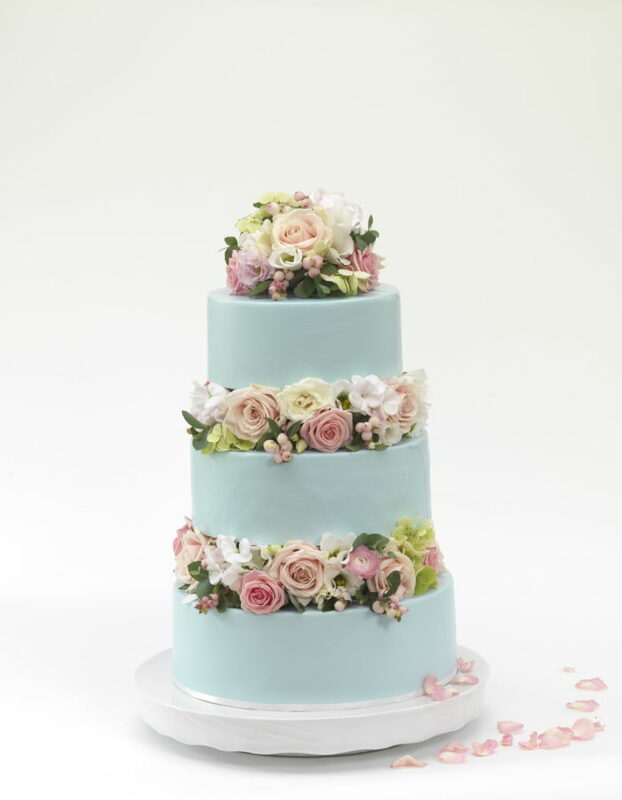 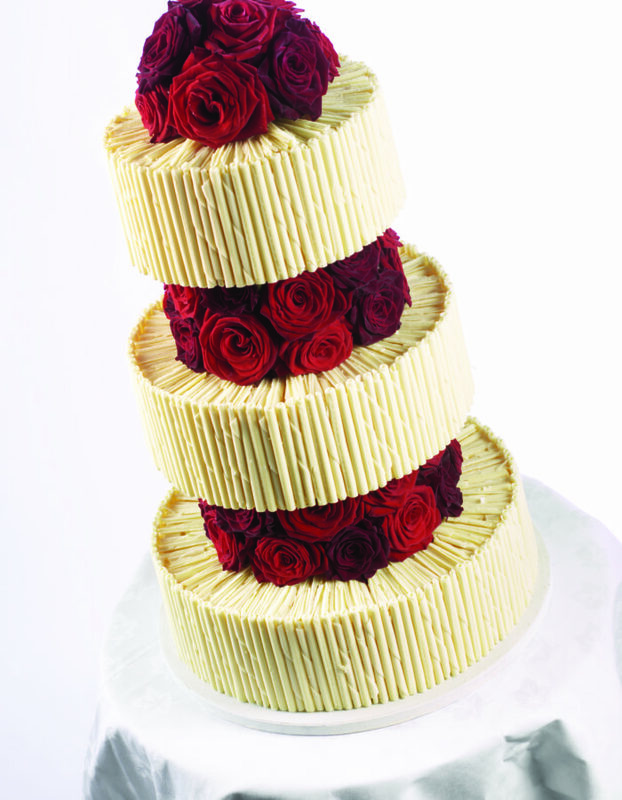 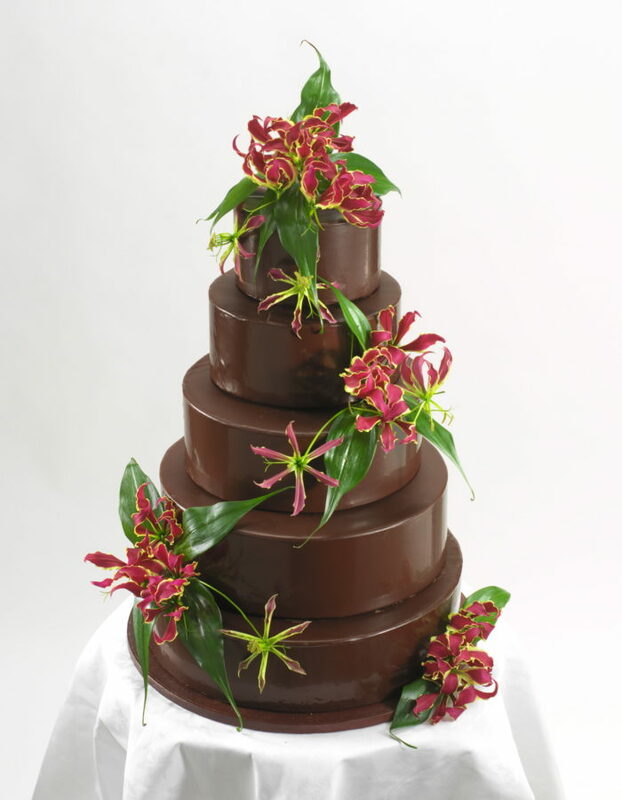 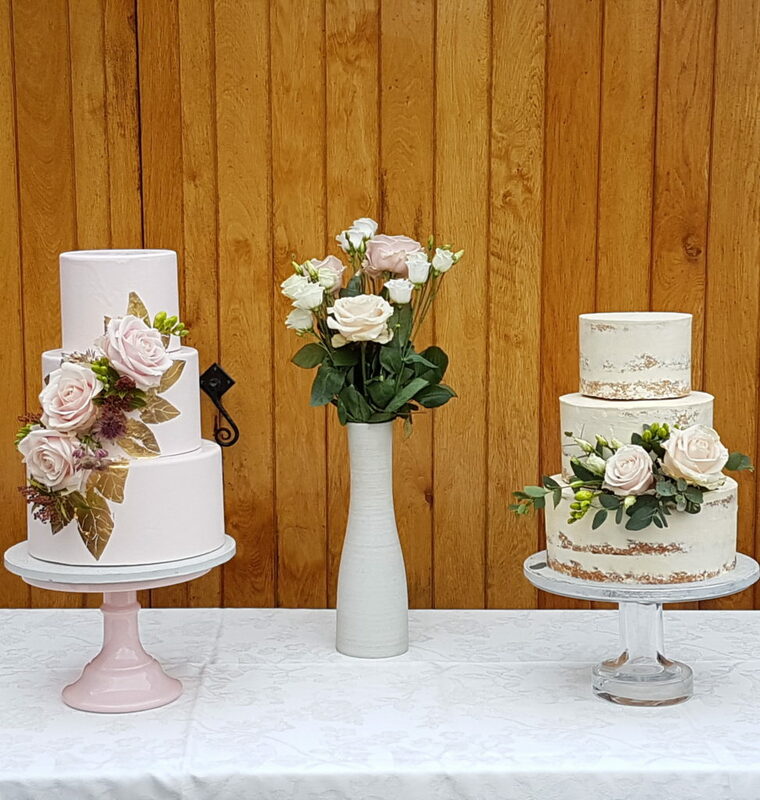 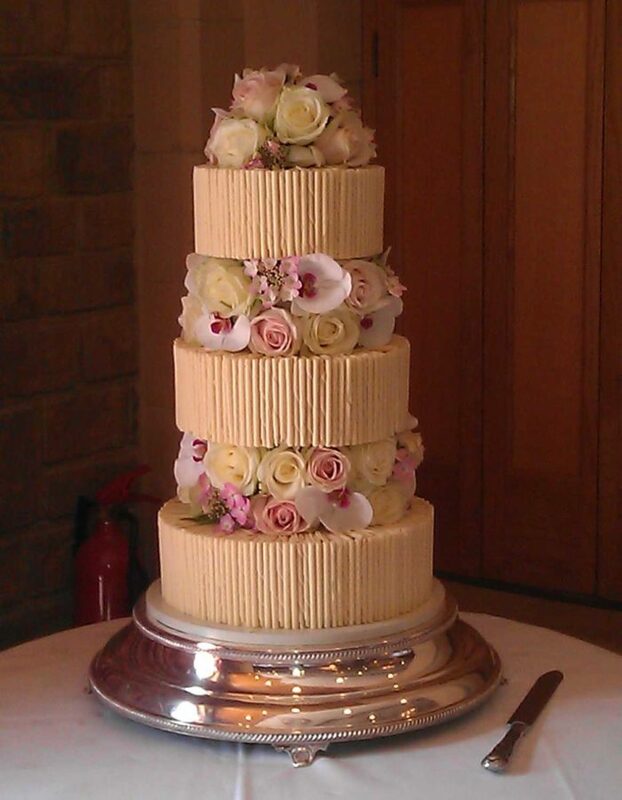 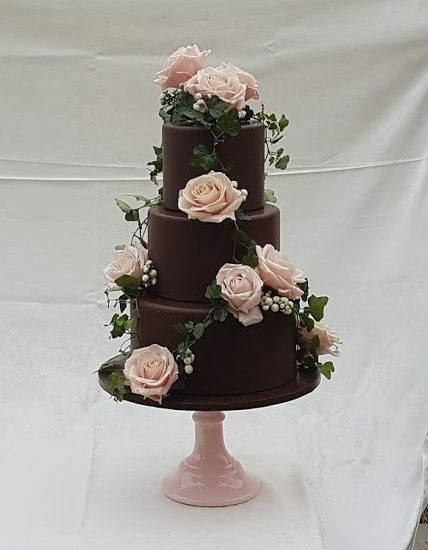 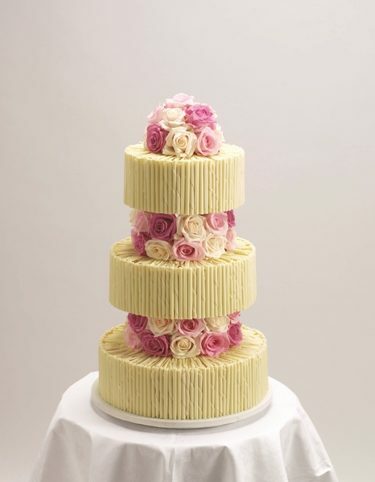 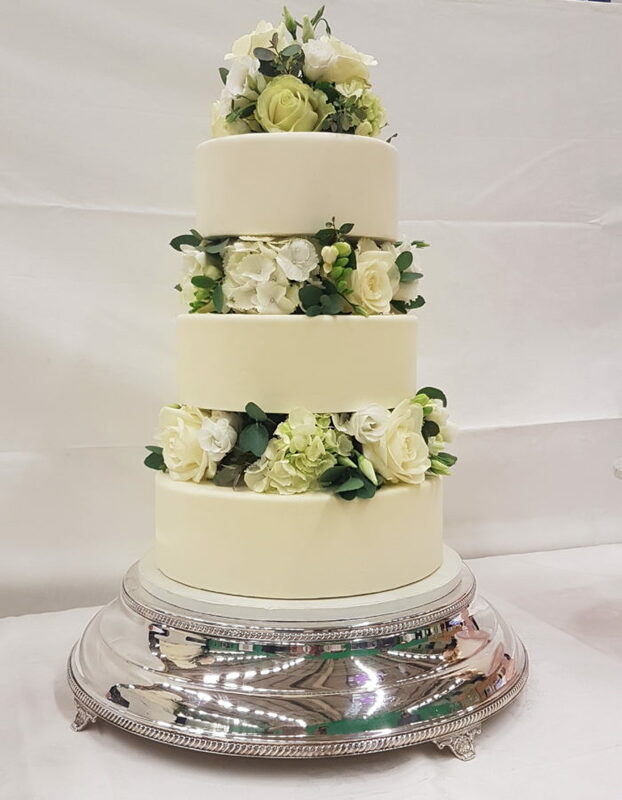 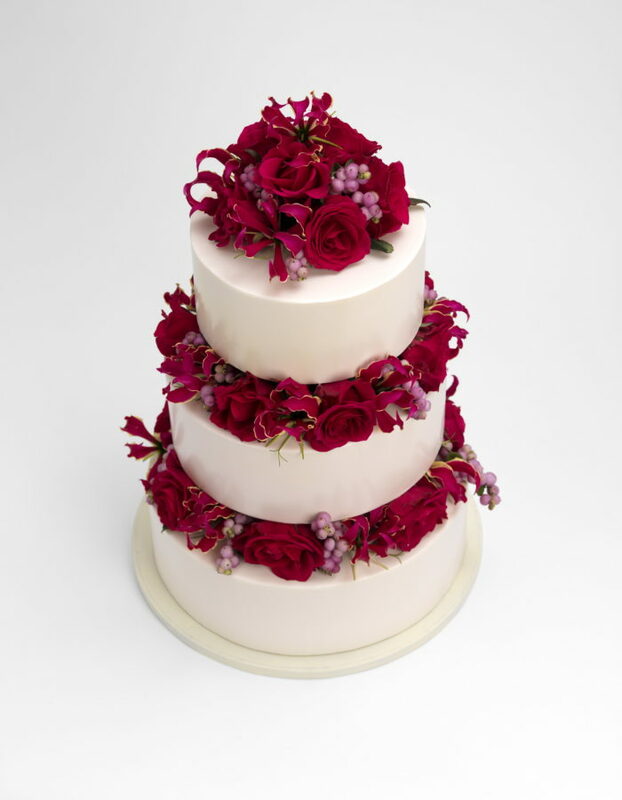 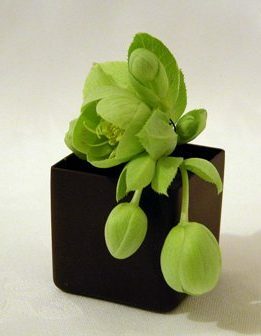 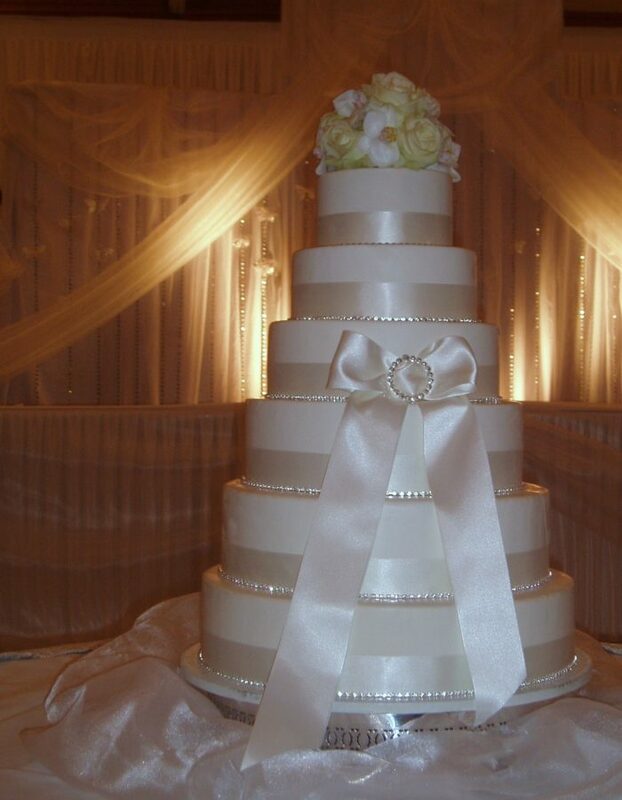 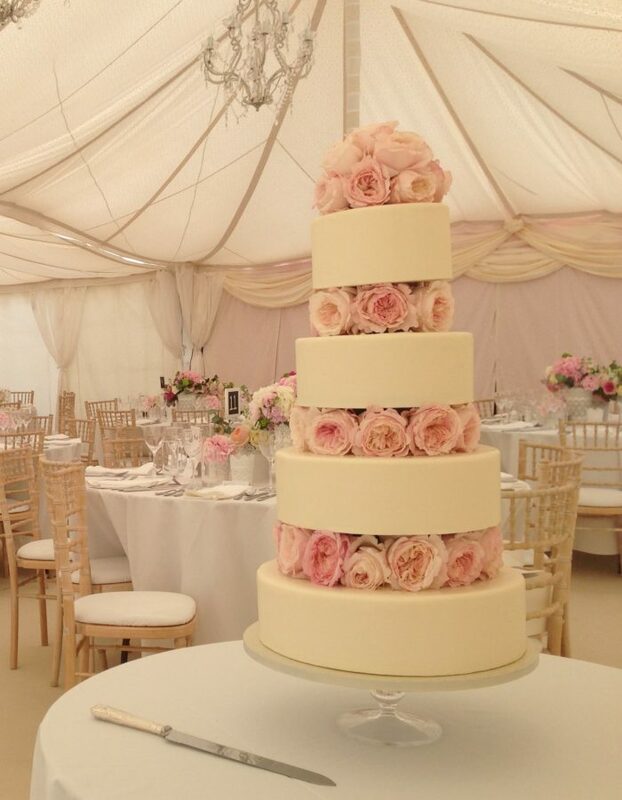 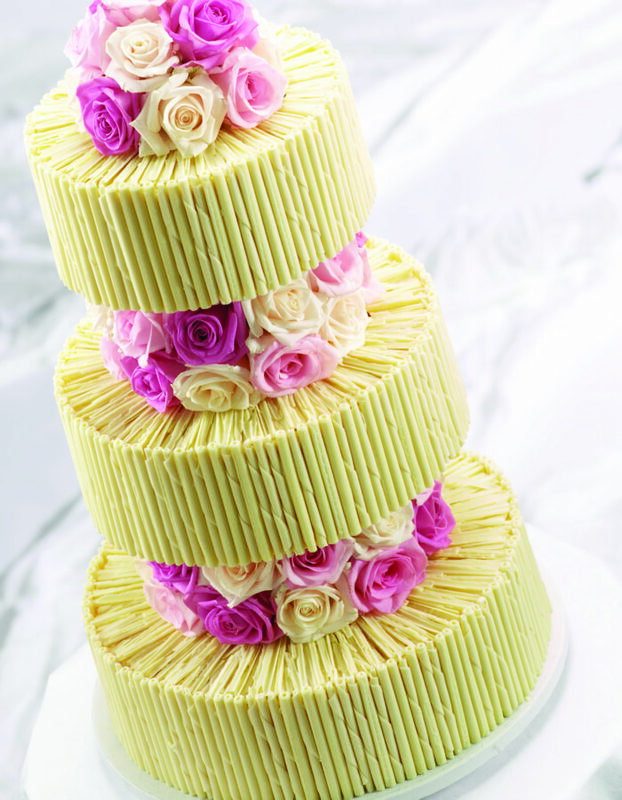 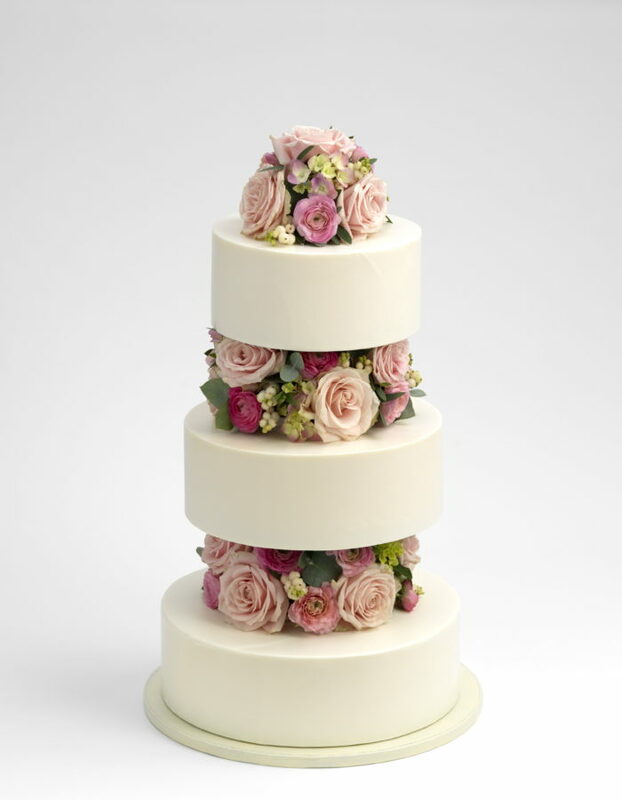 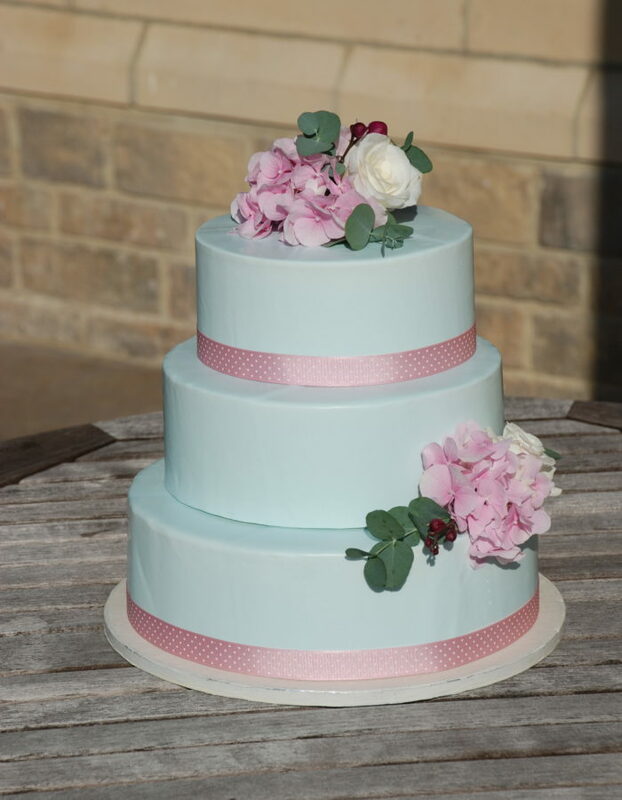 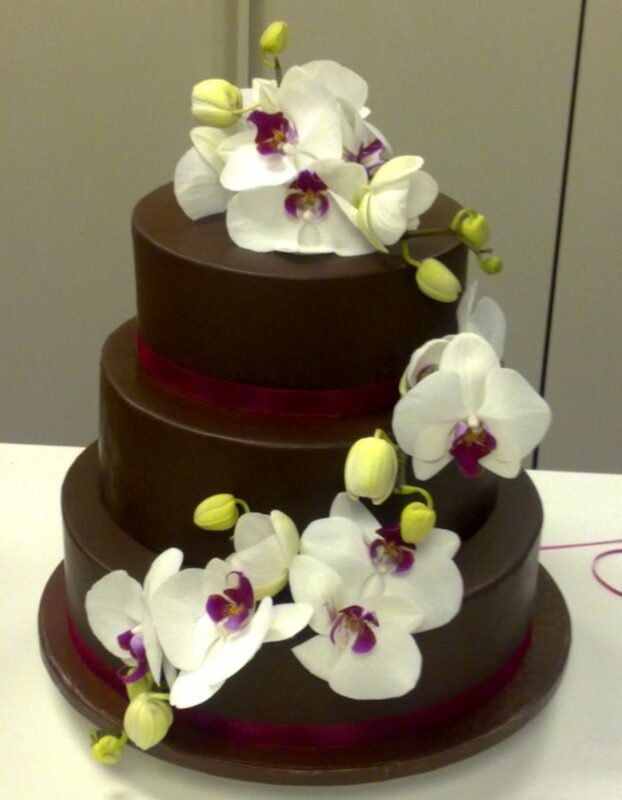 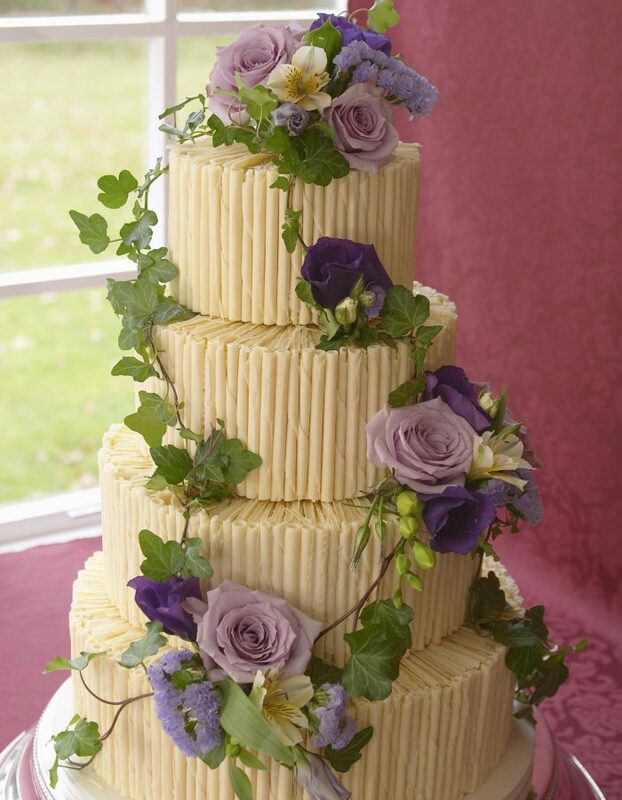 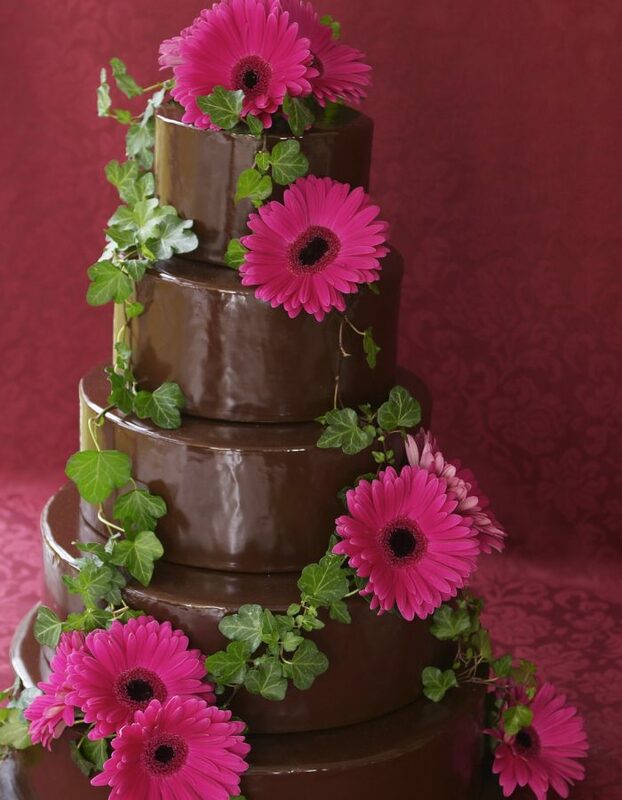 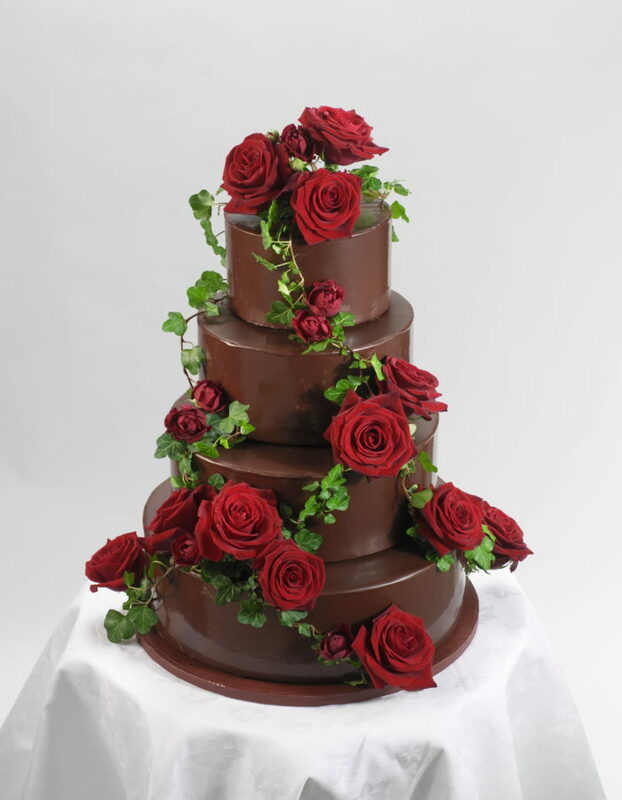 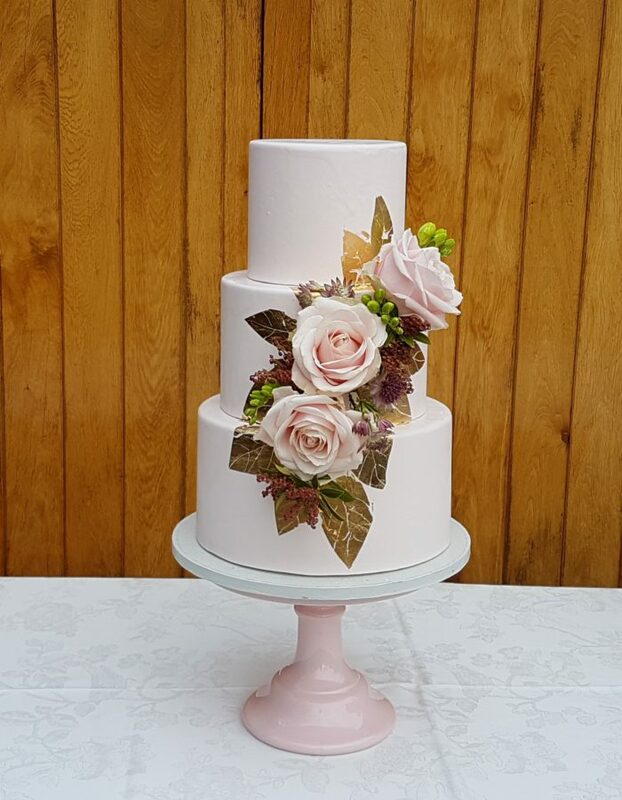 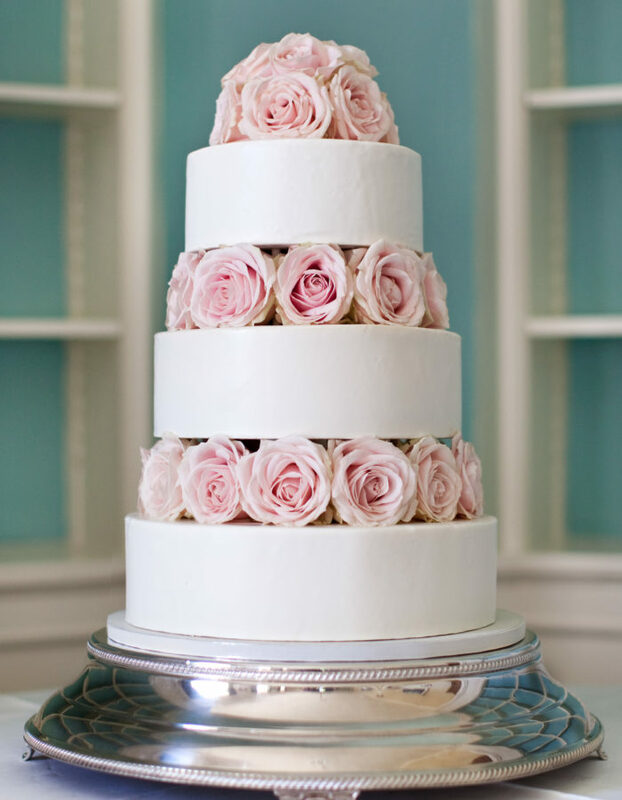 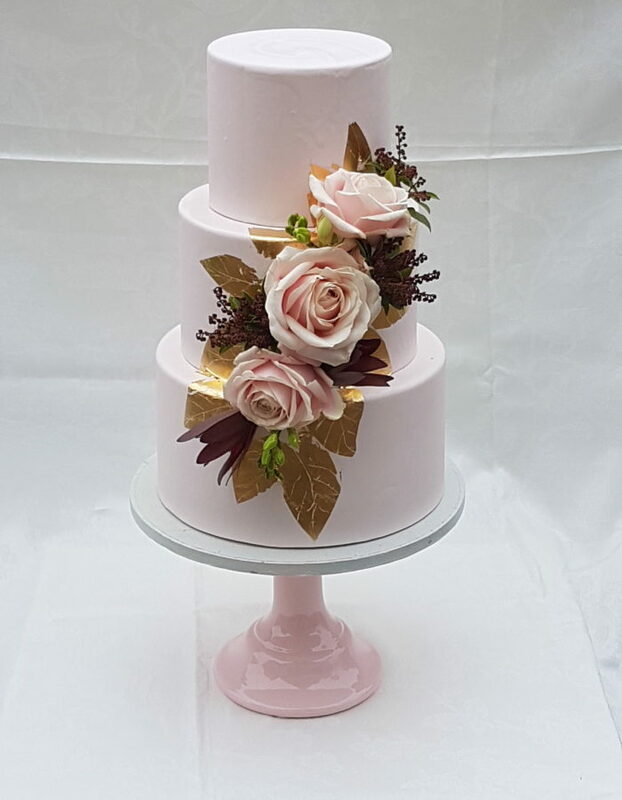 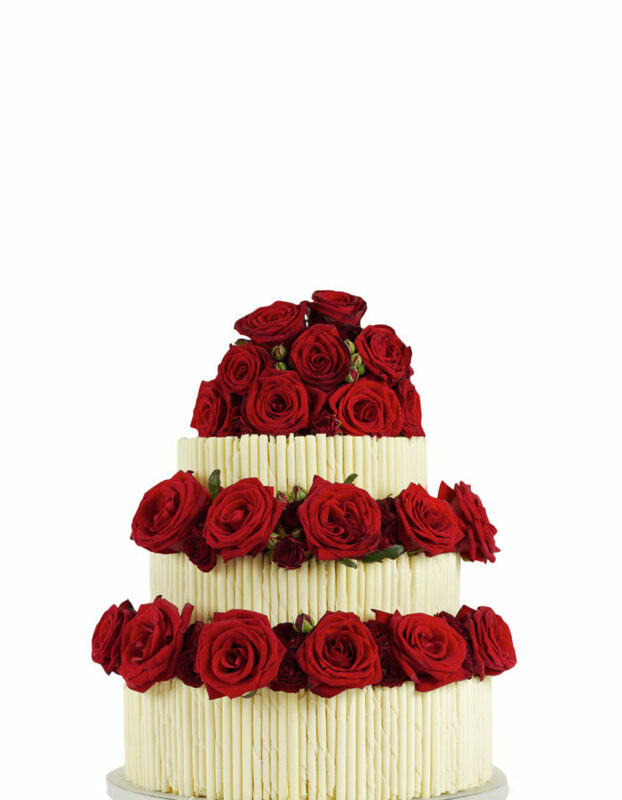 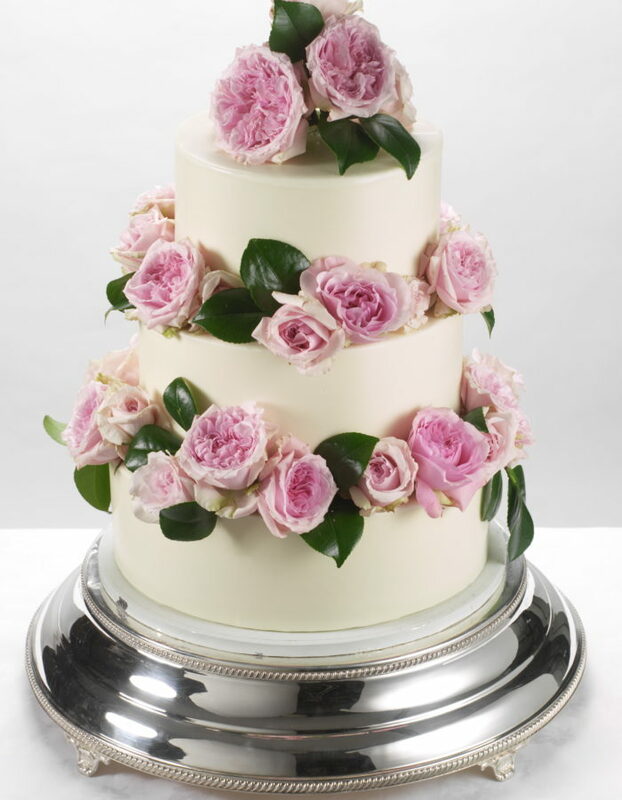 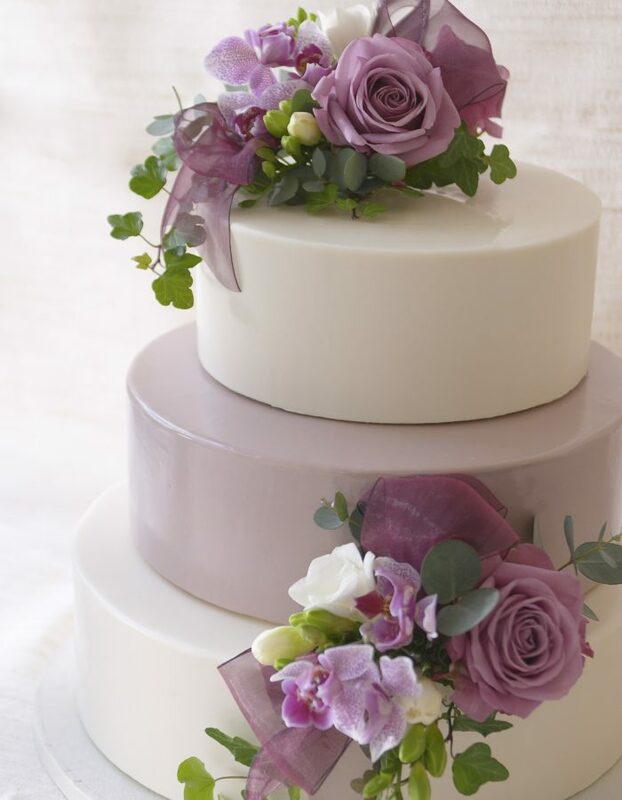 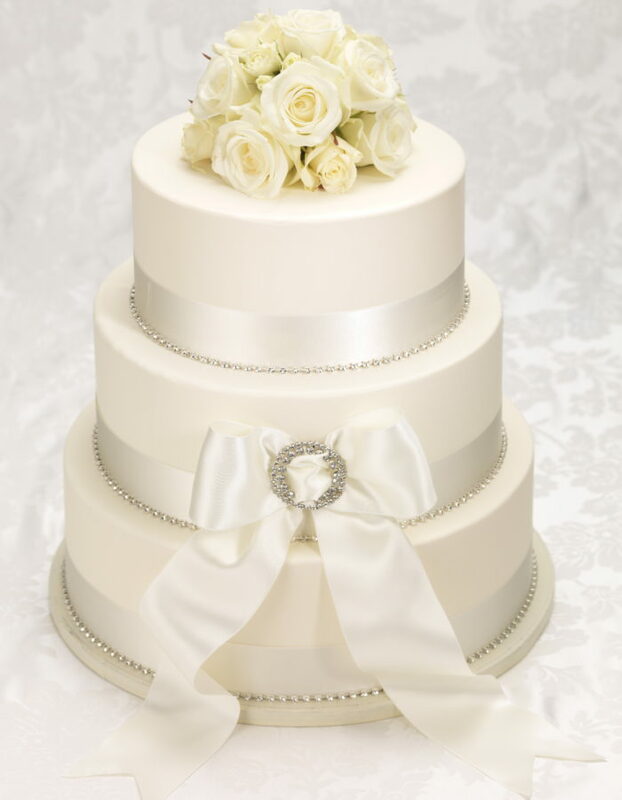 We provide a personal and professional service for couples looking for a truly special and unique wedding cake. 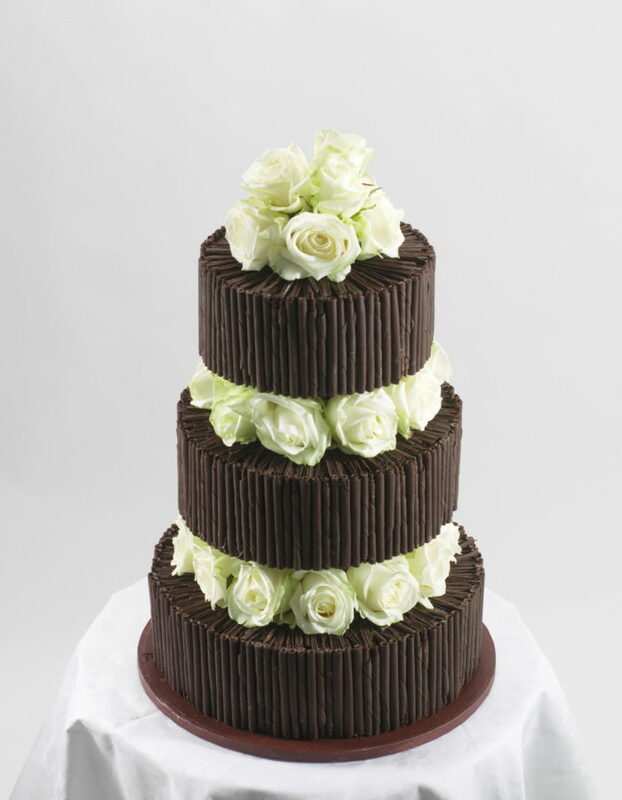 Chocolate Sacher Torte – a classic cooked dark chocolate cake with a rich, moist texture and a slightly nutty bite, with or without a rich chocolate ganache. 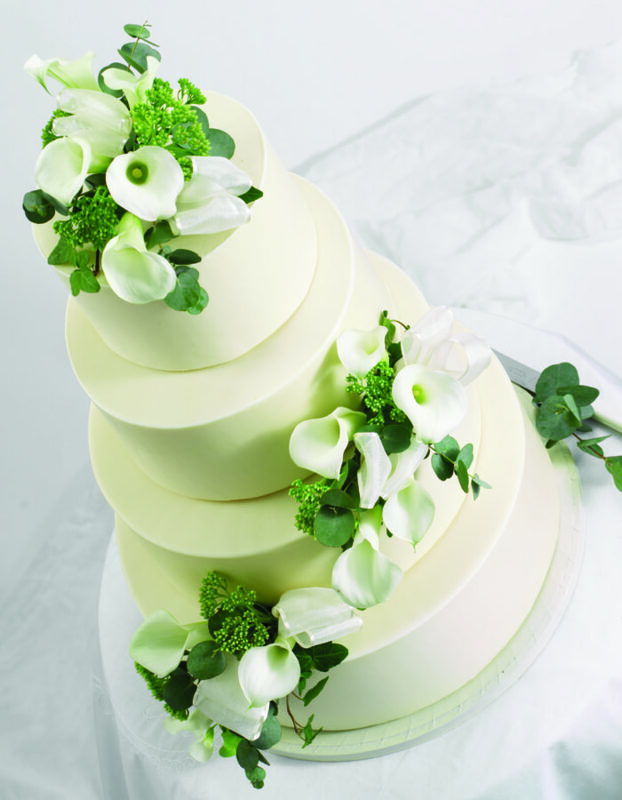 Carrot and Walnut cake – deliciously moist with a lemony cream cheese frosting. 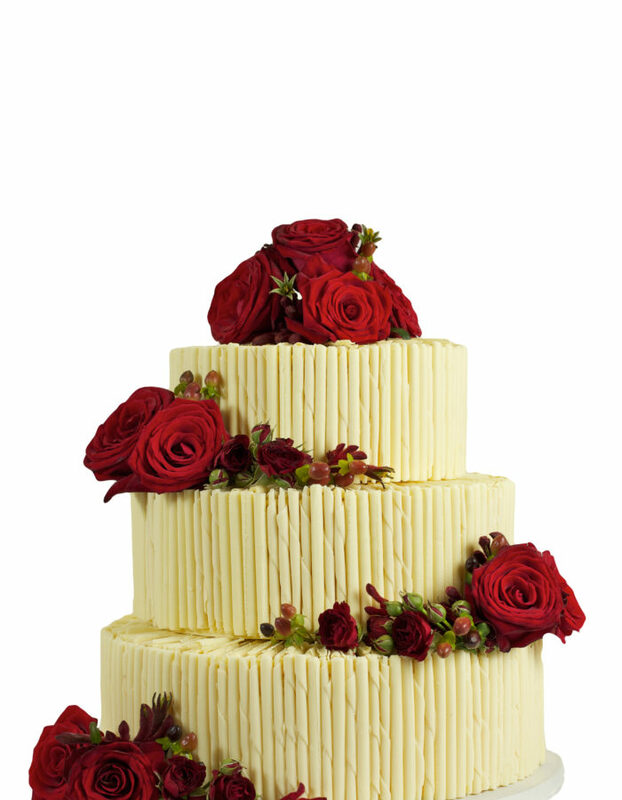 Victoria Sponge – made with a homemade raspberry jam and Italian meringue buttercream. 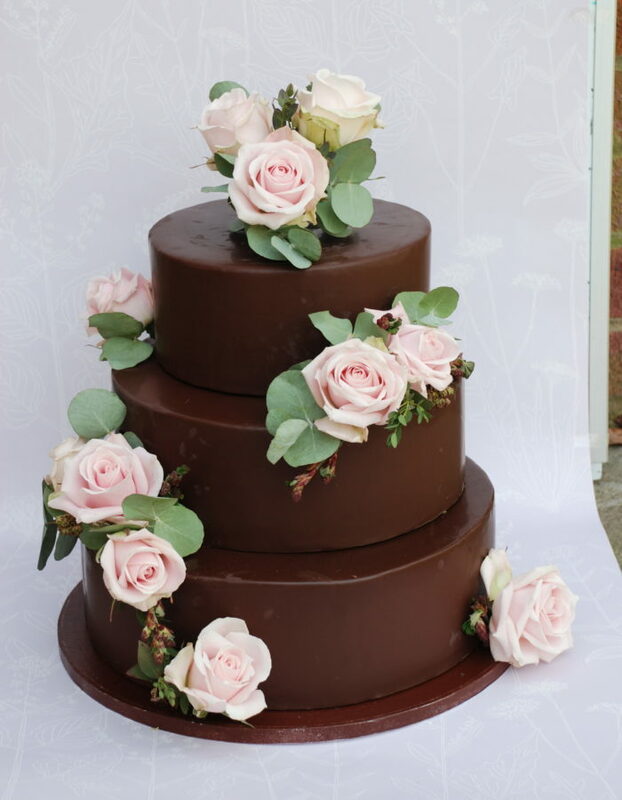 Vegan Chocolate Cake – an indulgent vegan chocolate cake made with either a coconut chocolate filling or a chocolate ganache. 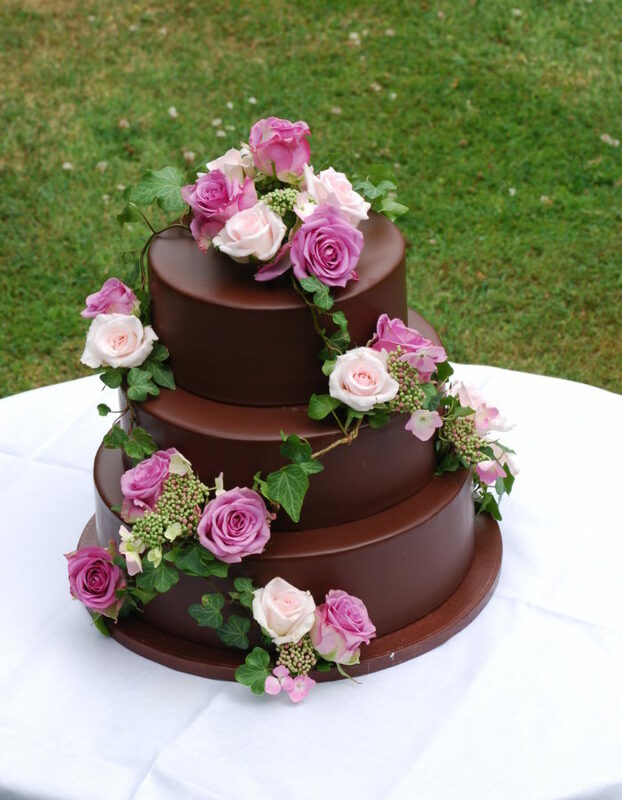 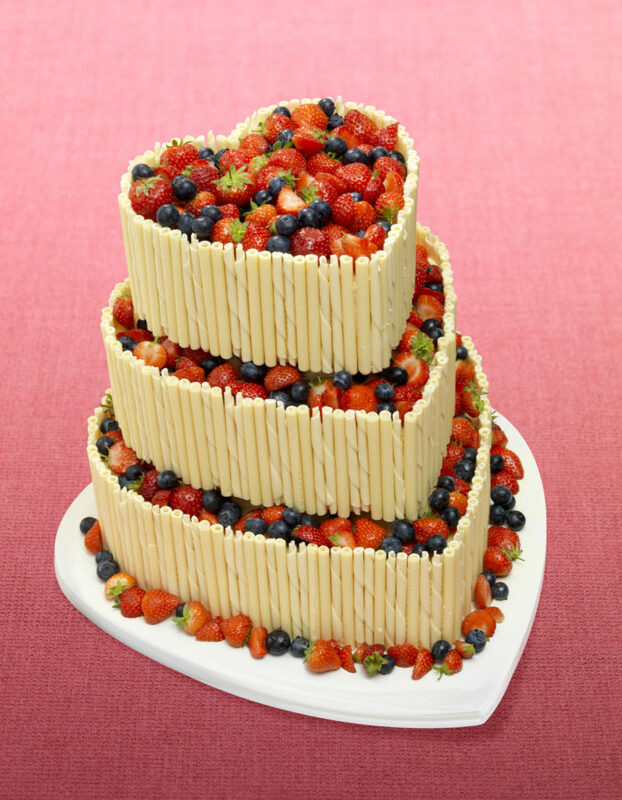 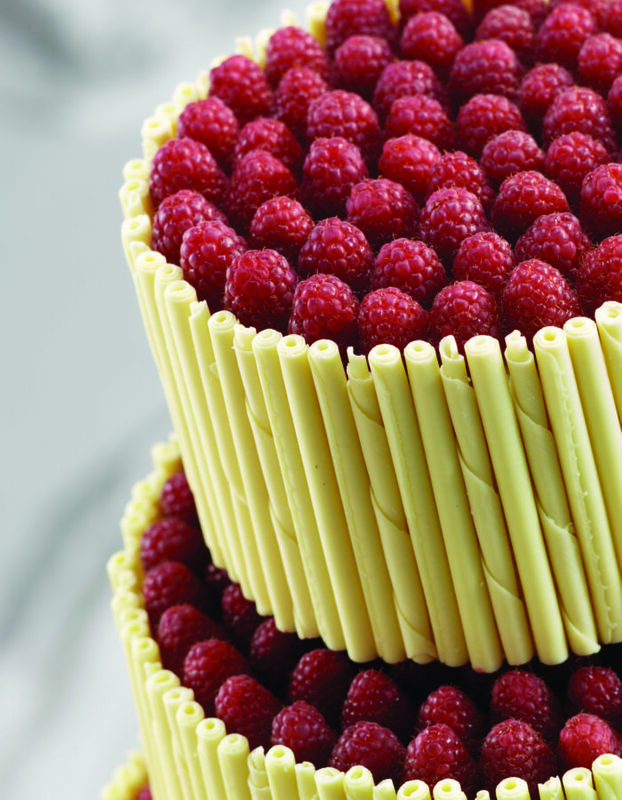 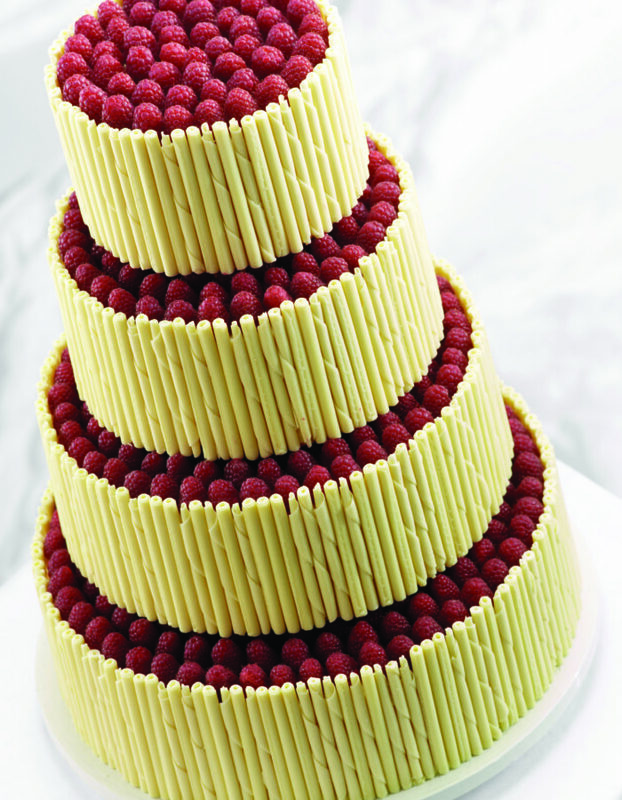 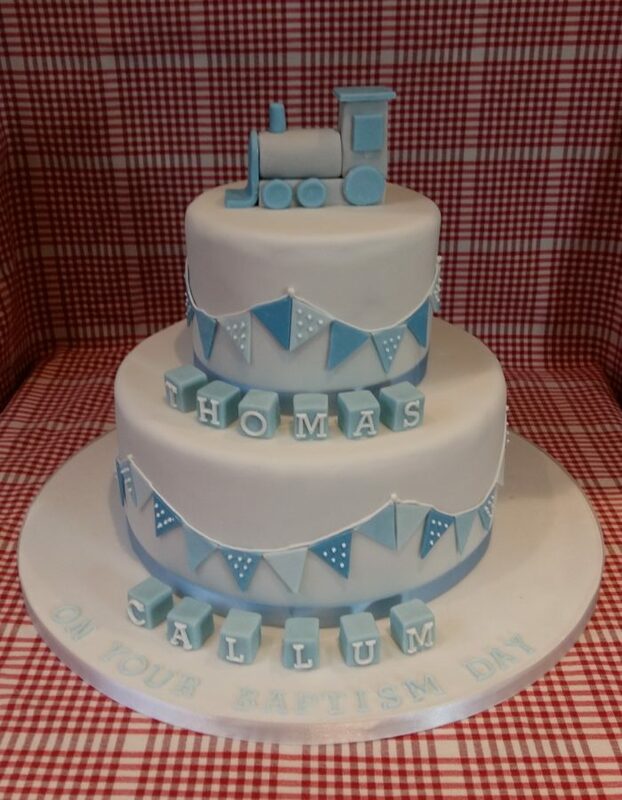 Please feel free to request your own flavours for one or all of the tiers. 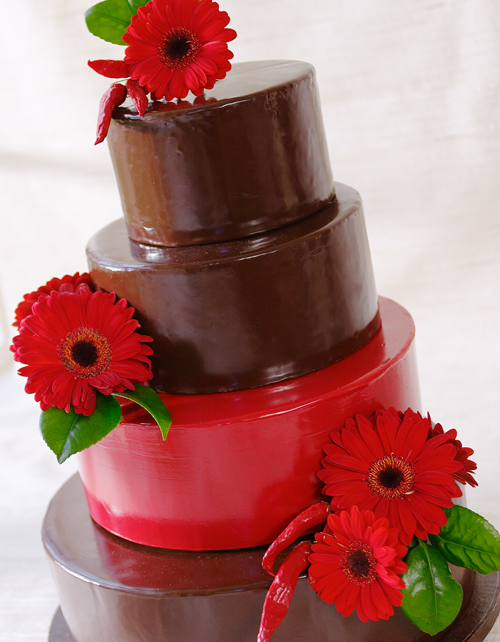 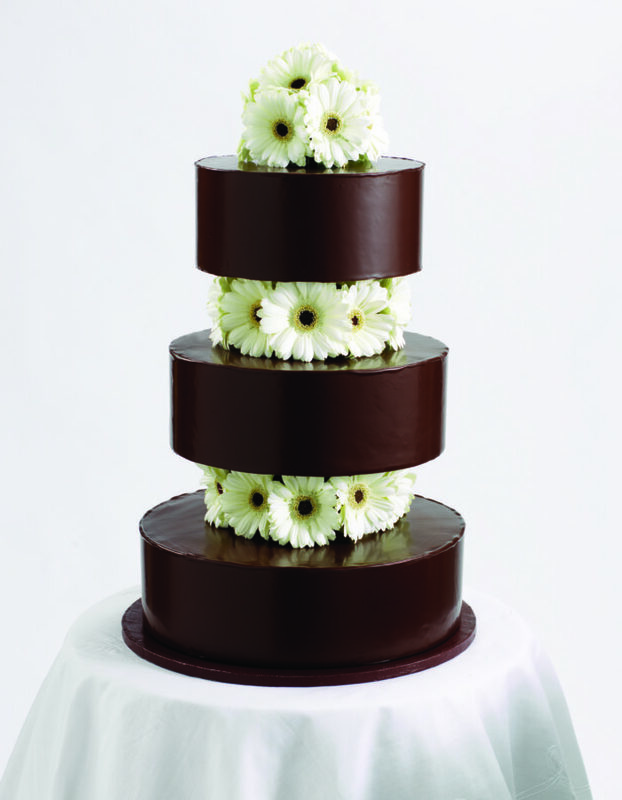 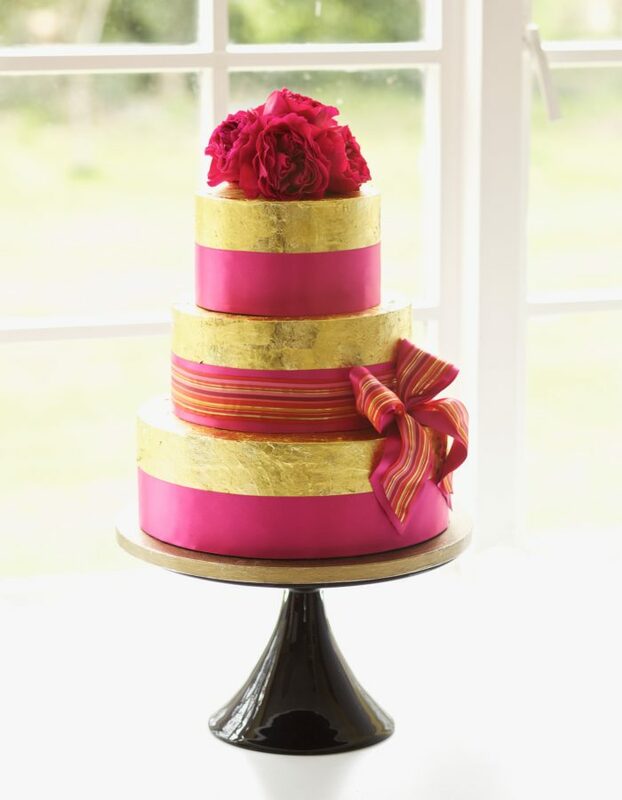 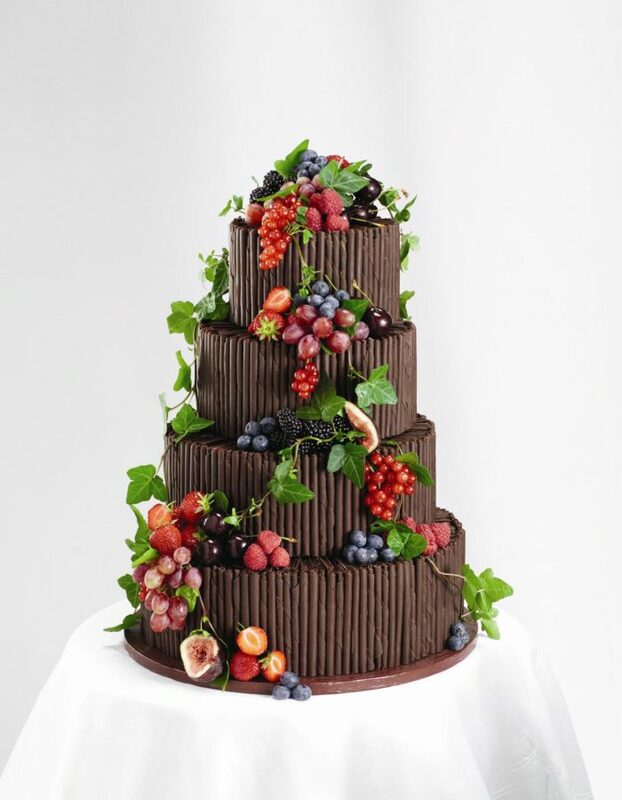 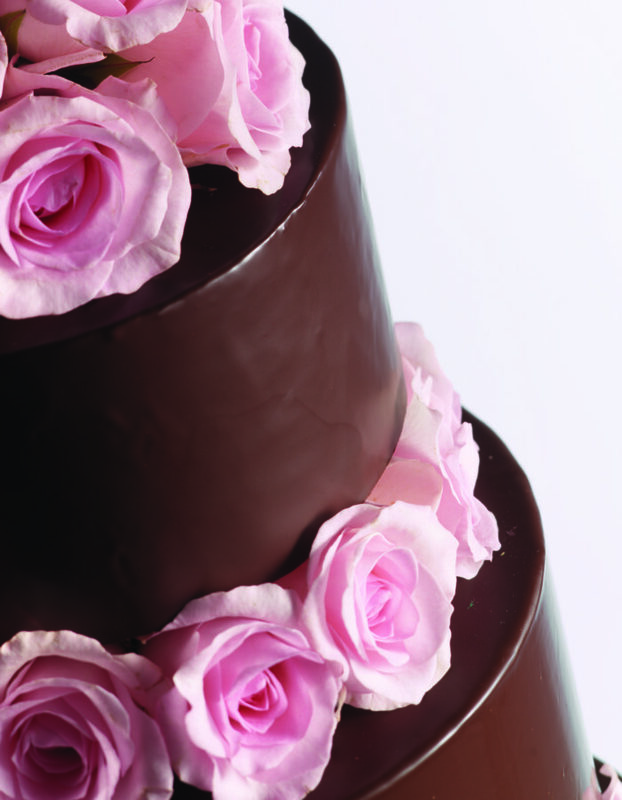 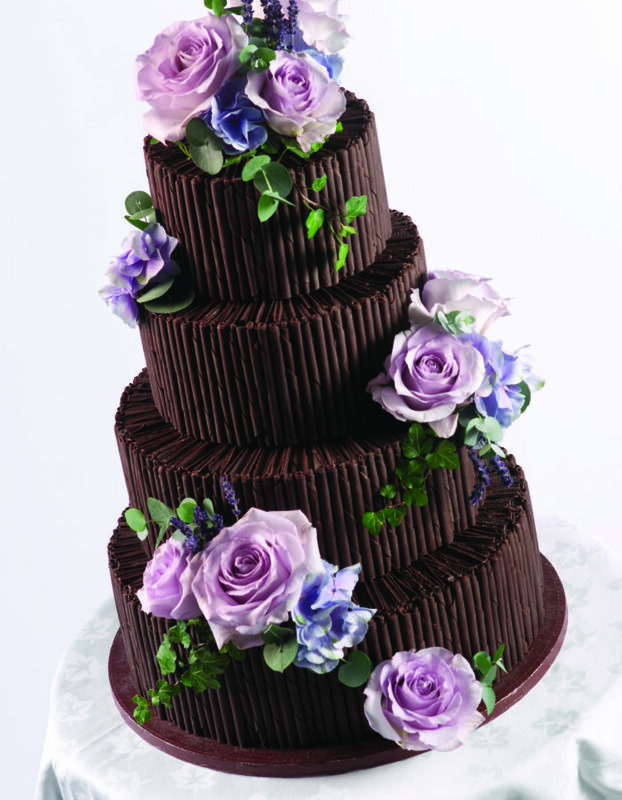 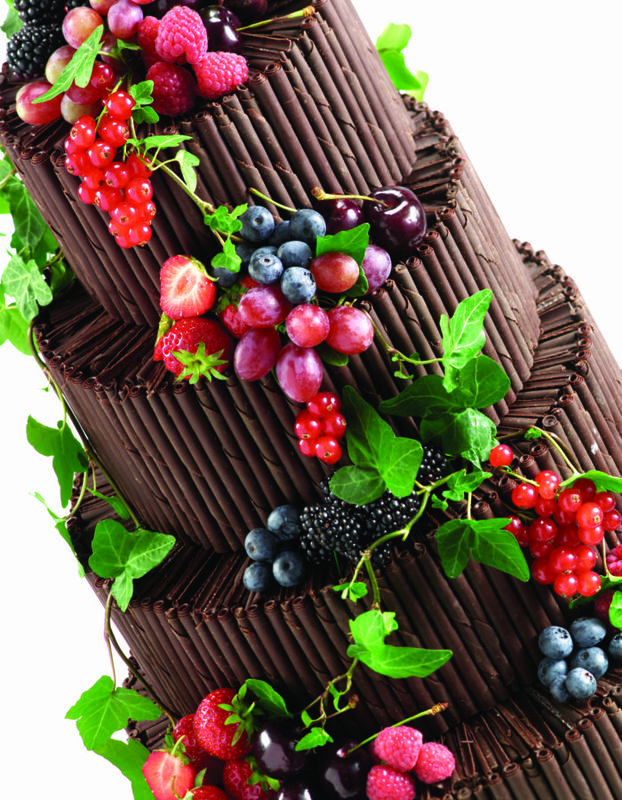 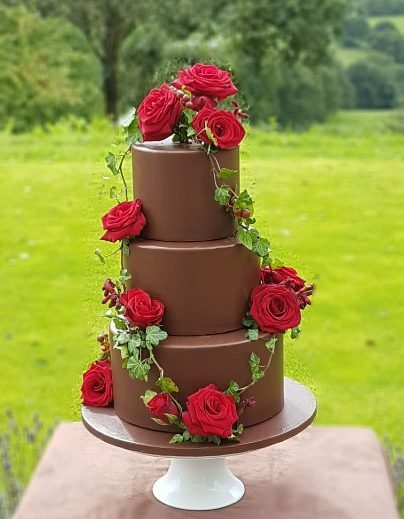 Although we are passionate about chocolate, we are always happy to craft delicious, beautiful cakes of all kinds to suit your tastes. 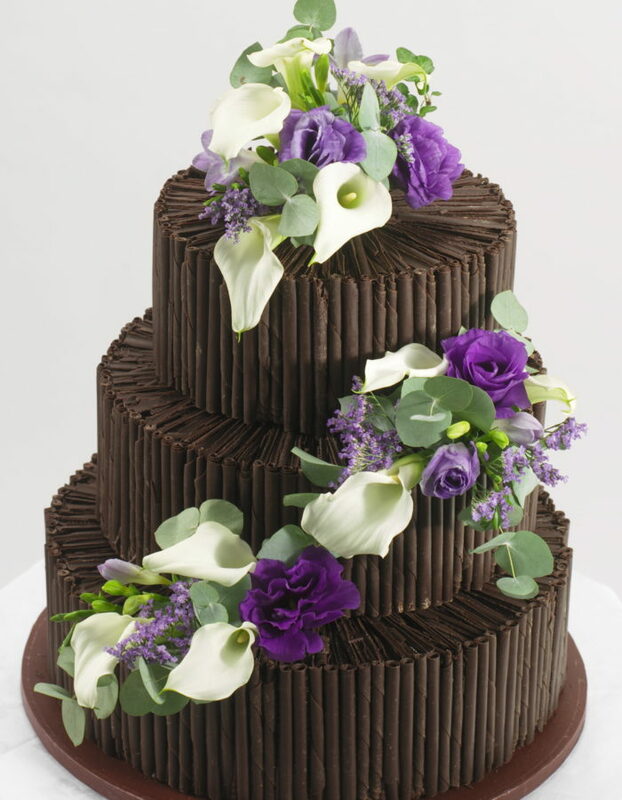 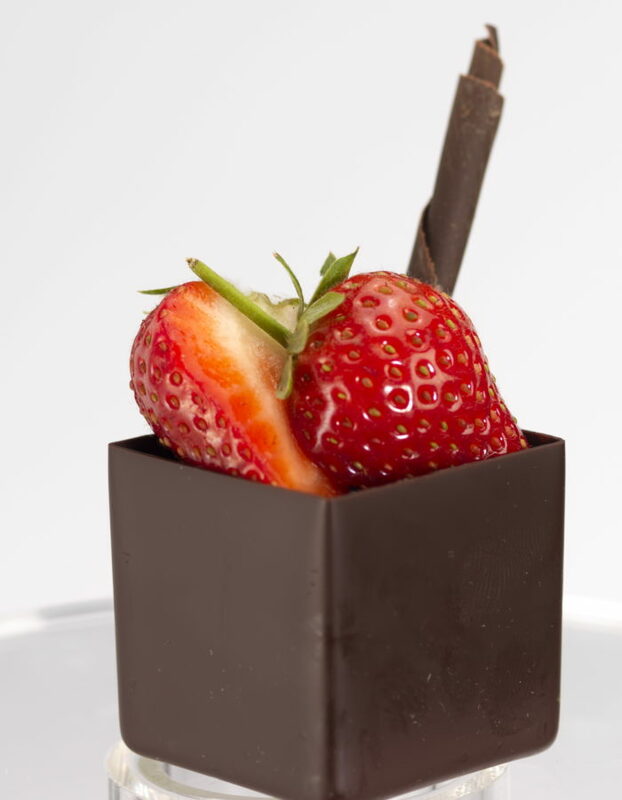 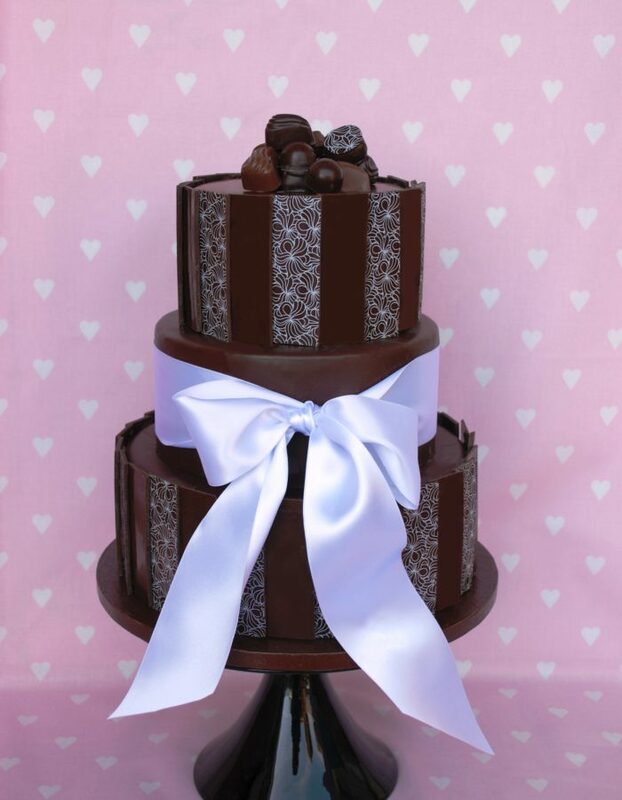 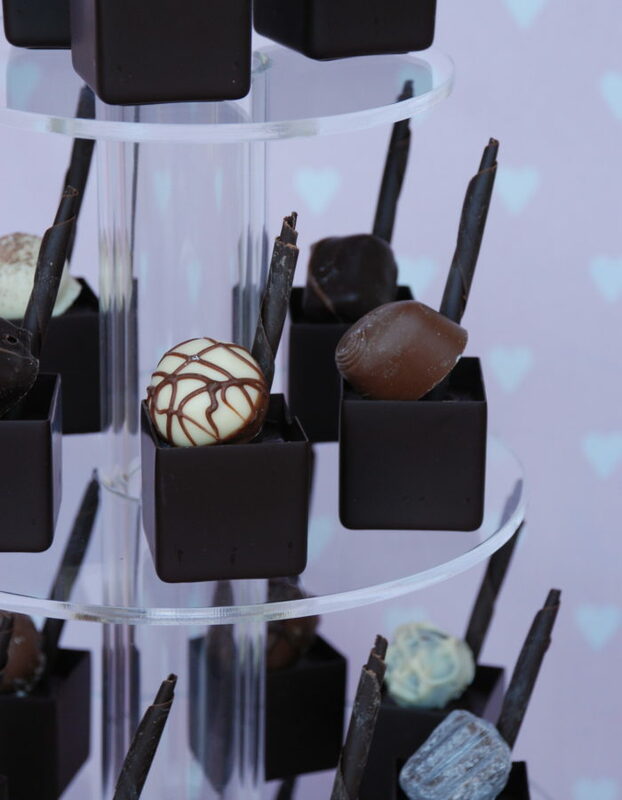 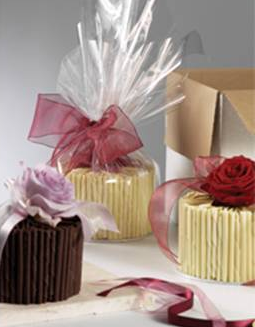 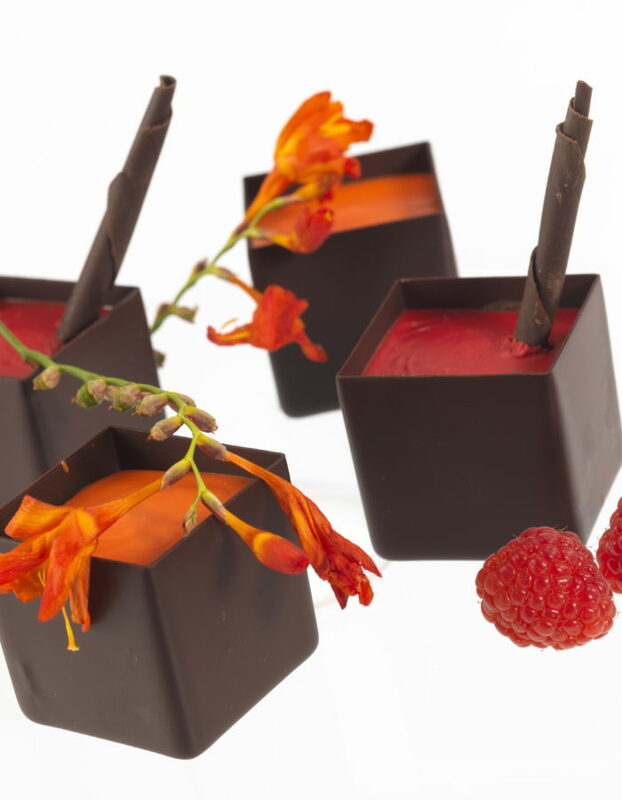 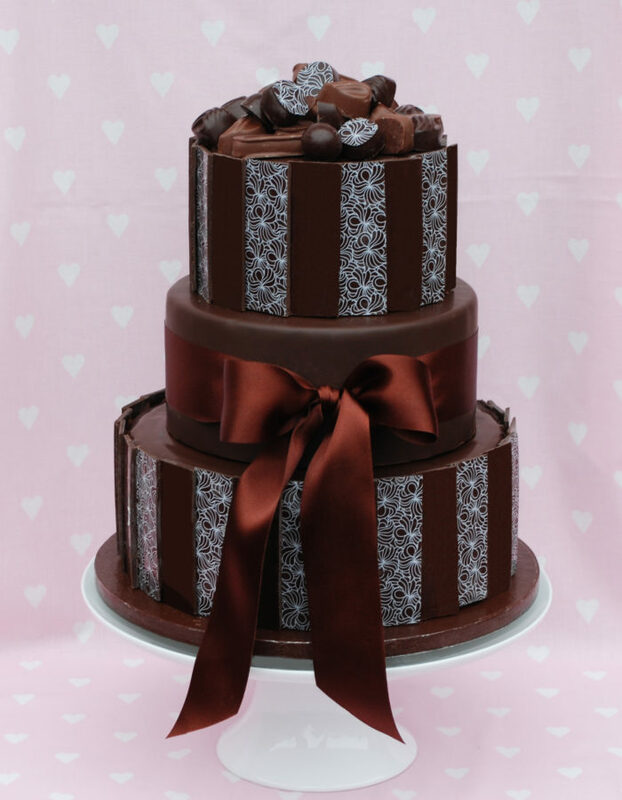 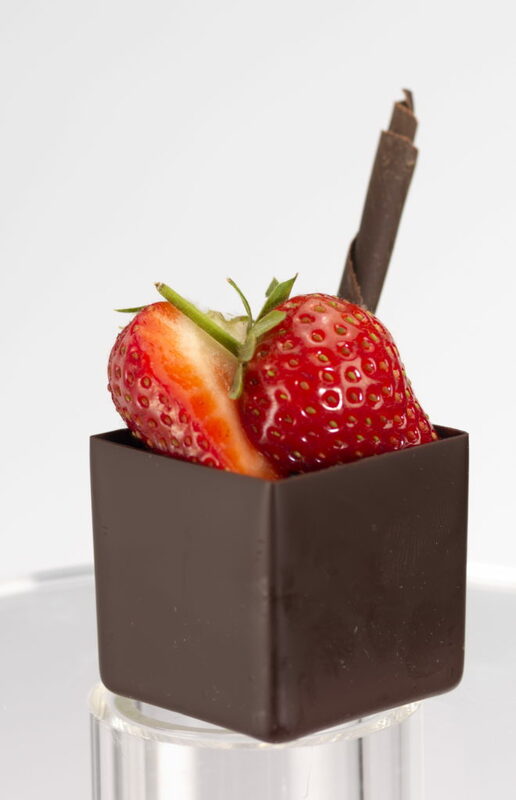 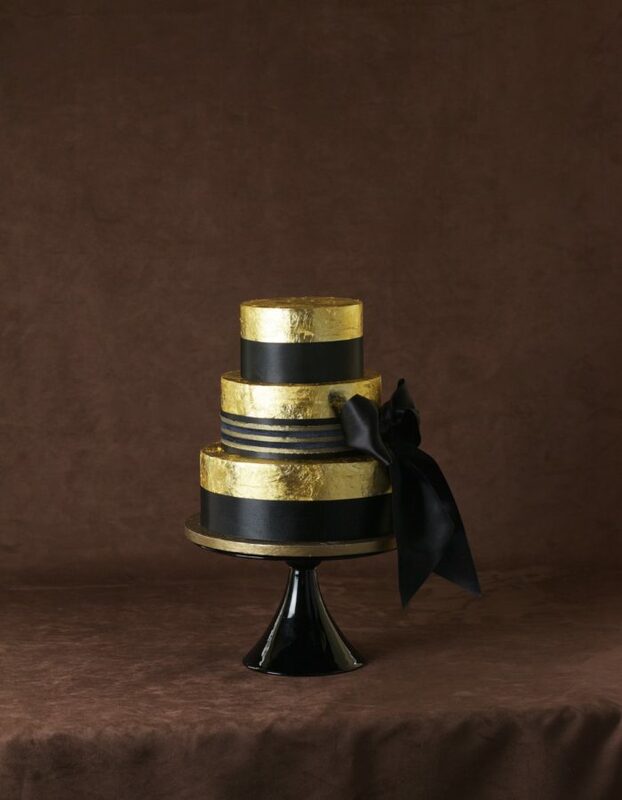 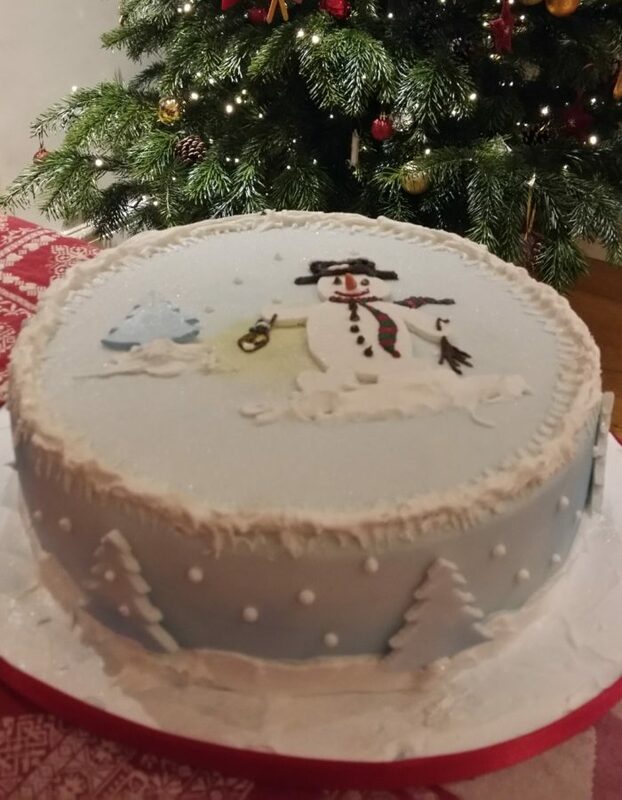 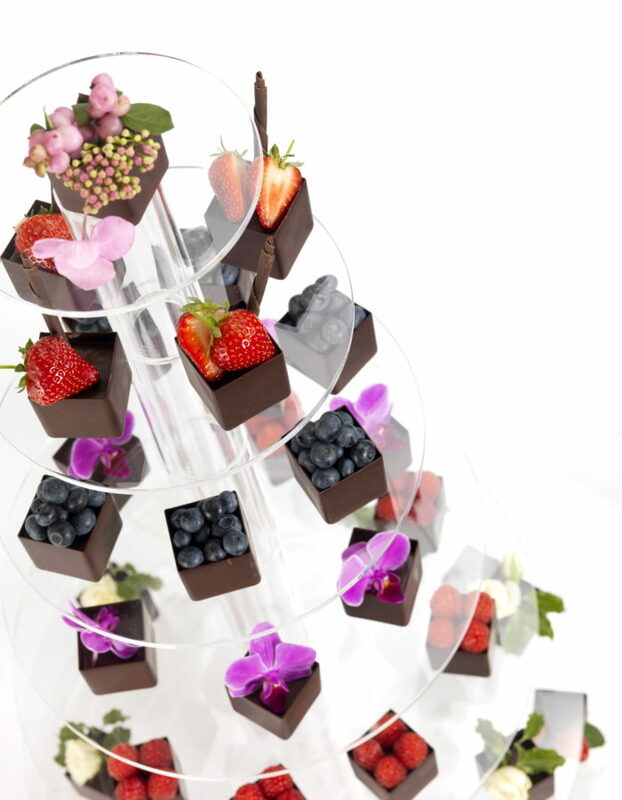 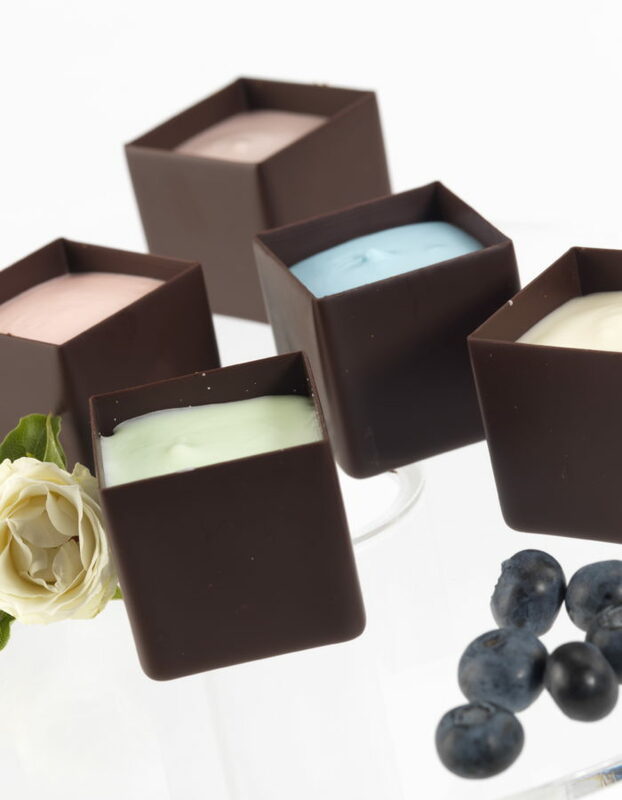 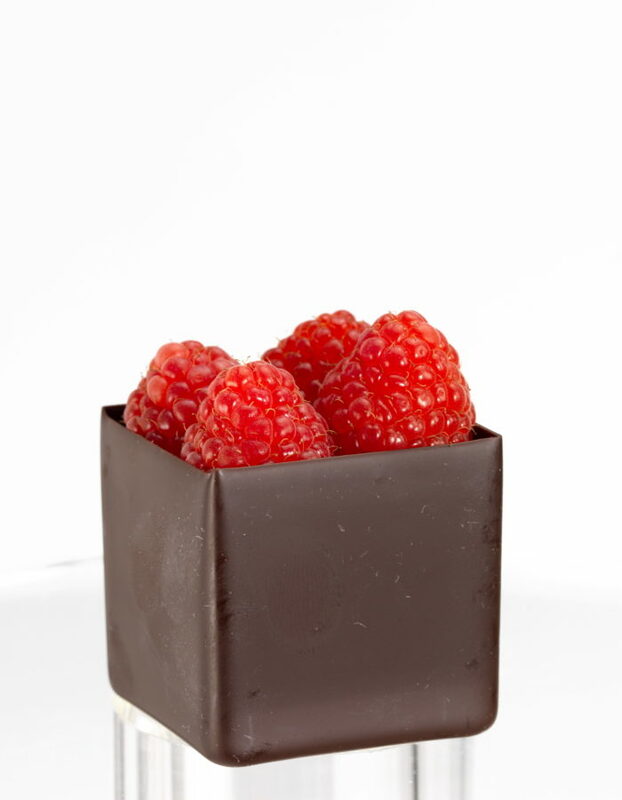 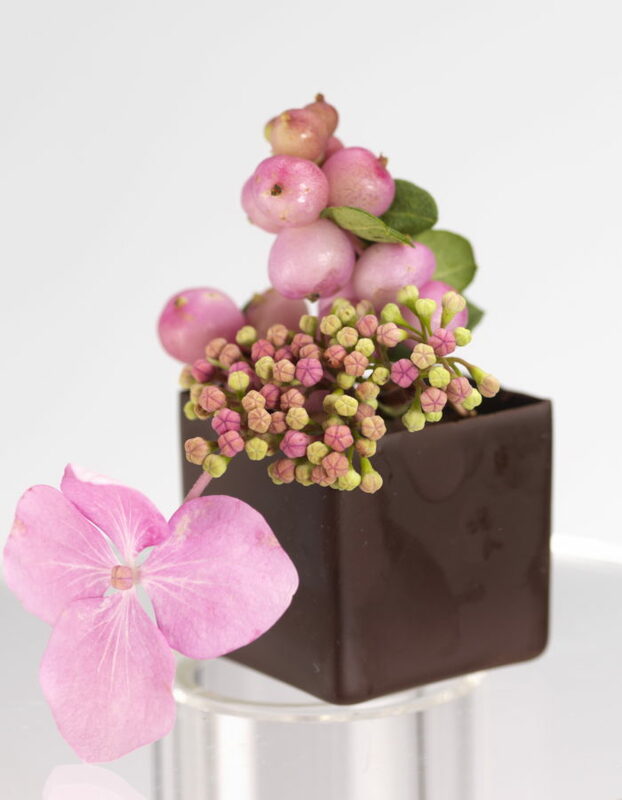 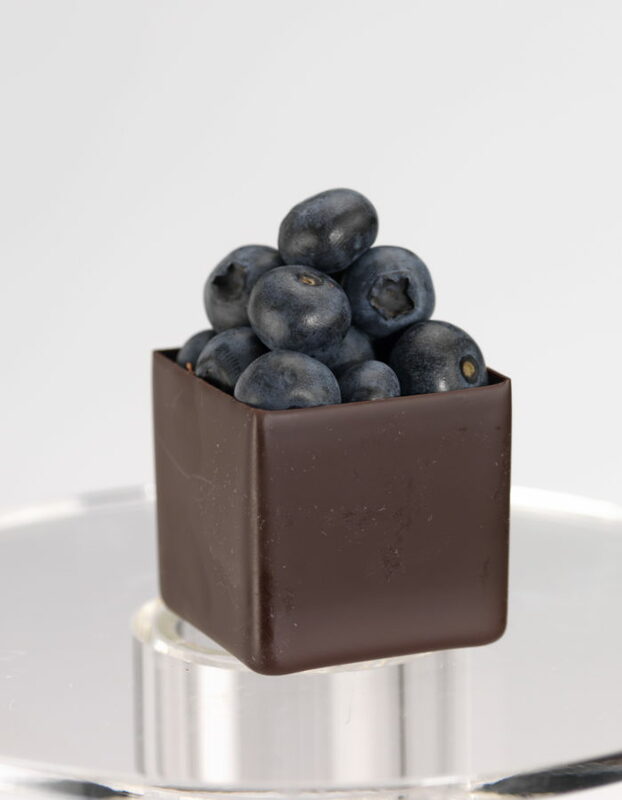 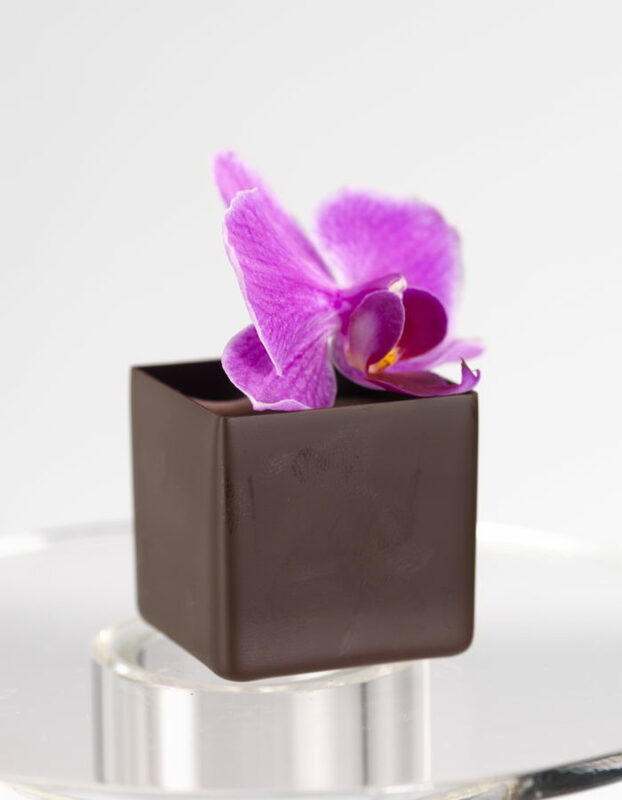 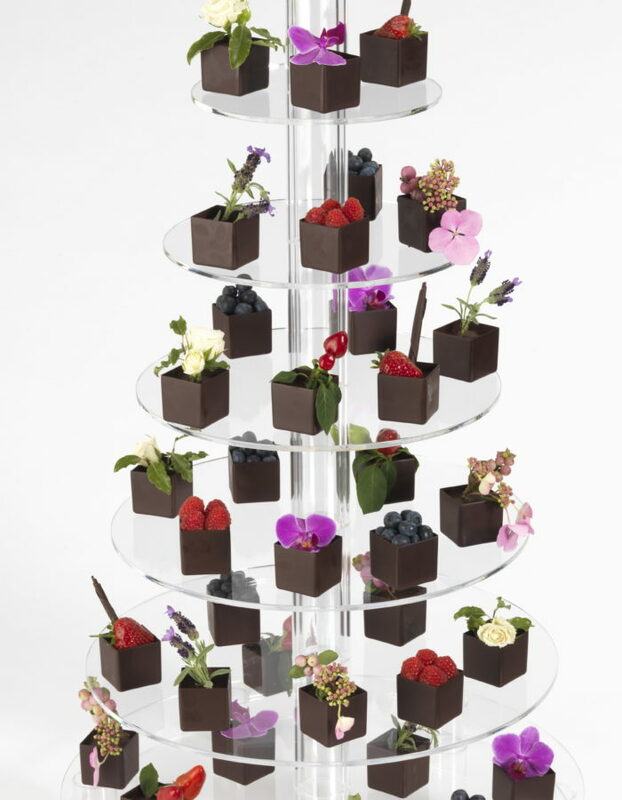 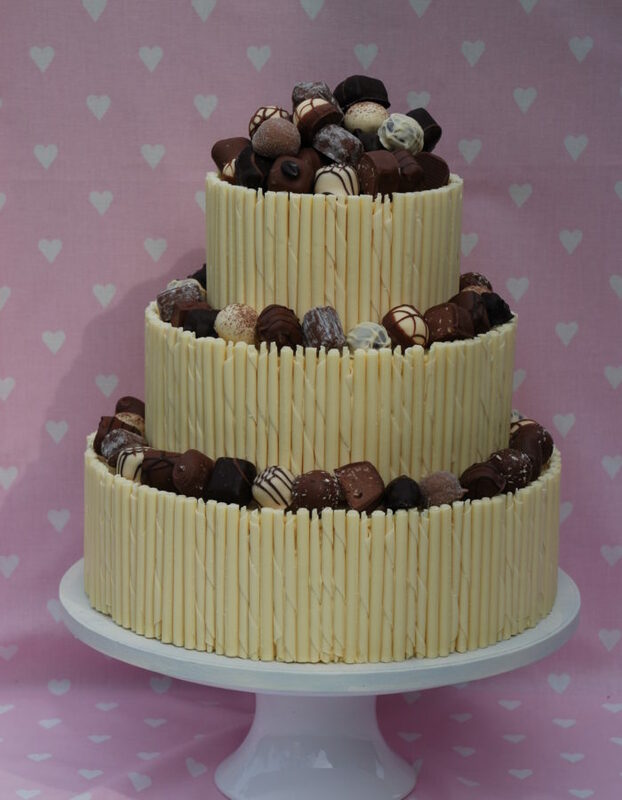 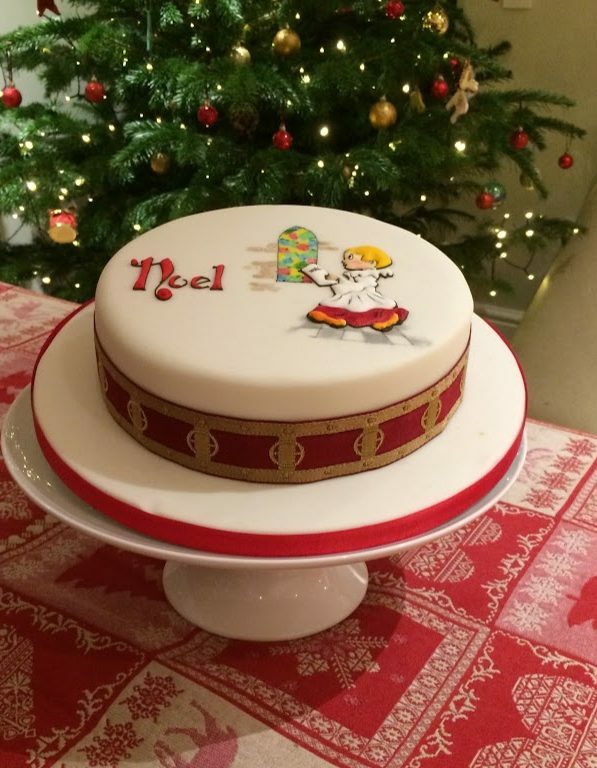 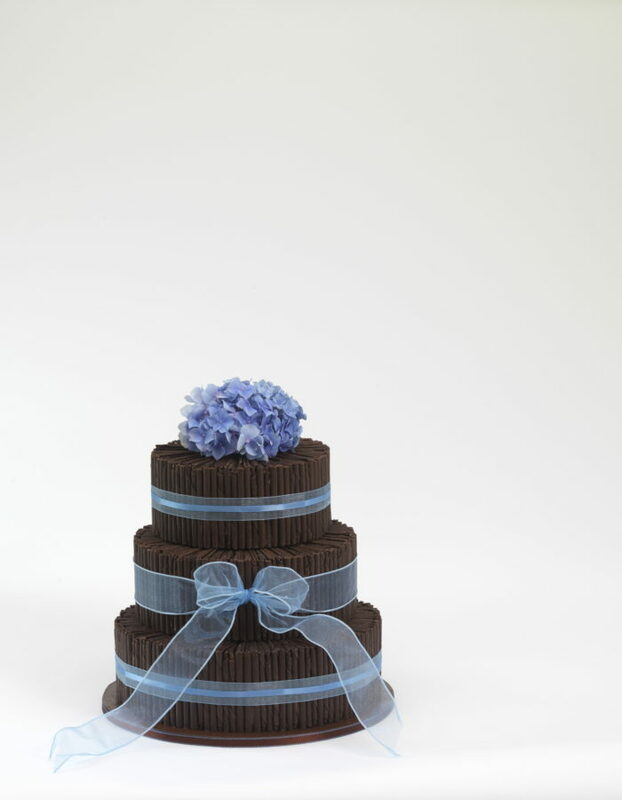 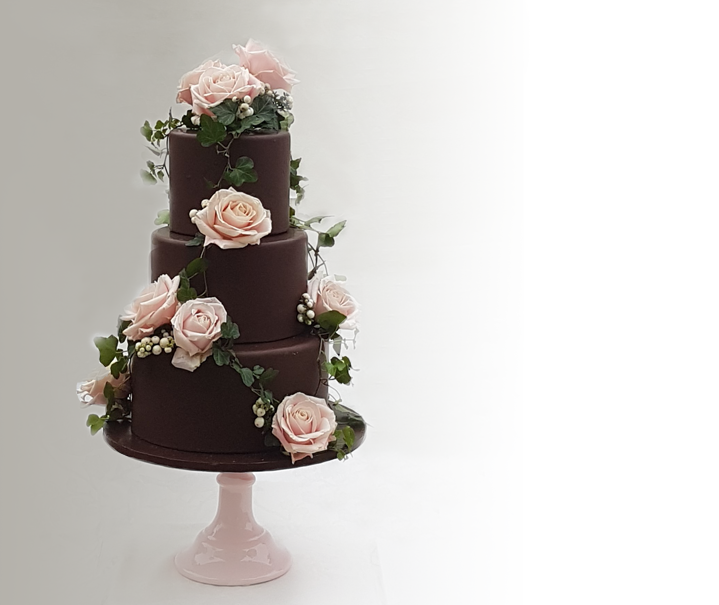 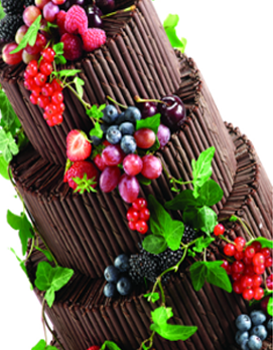 Our cakes are tasty and decadent, individually made with the finest Belgian chocolate giving a perfectly smooth white or dark chocolate finish. 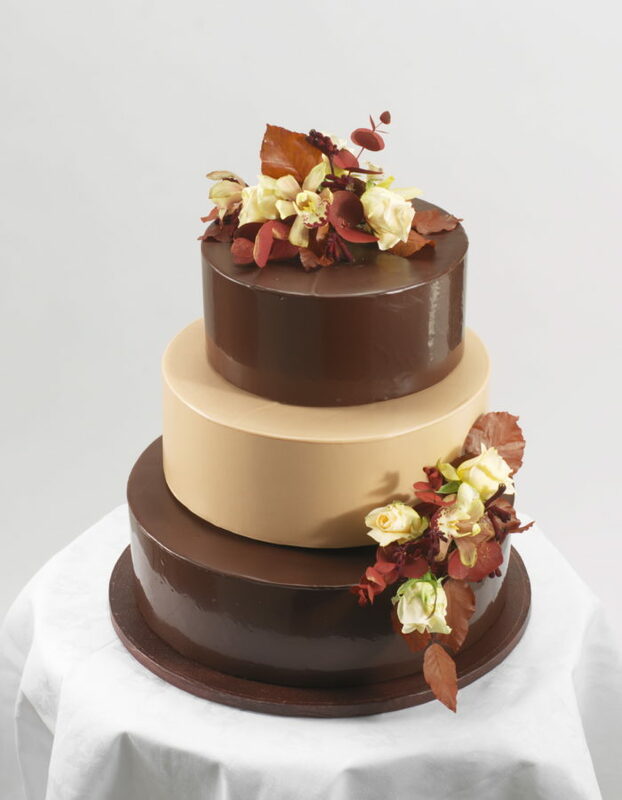 Chocolate Sachertorte – a classic cooked dark chocolate cake with a rich, moist texture and a slightly nutty bite, with or without a rich chocolate ganache.